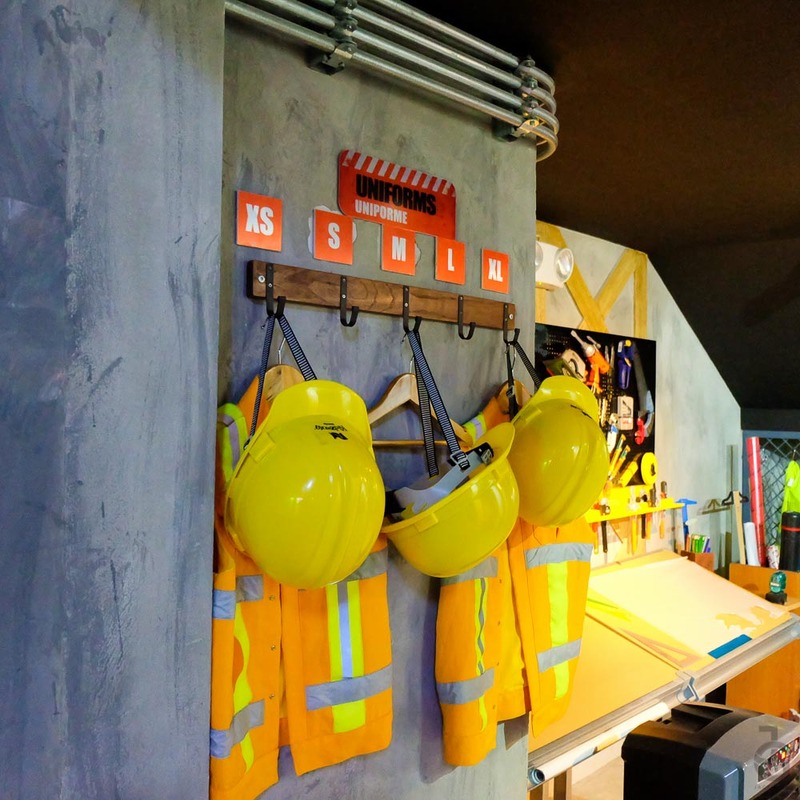 Thankfully, over the weekend we’re back at Kidzania. 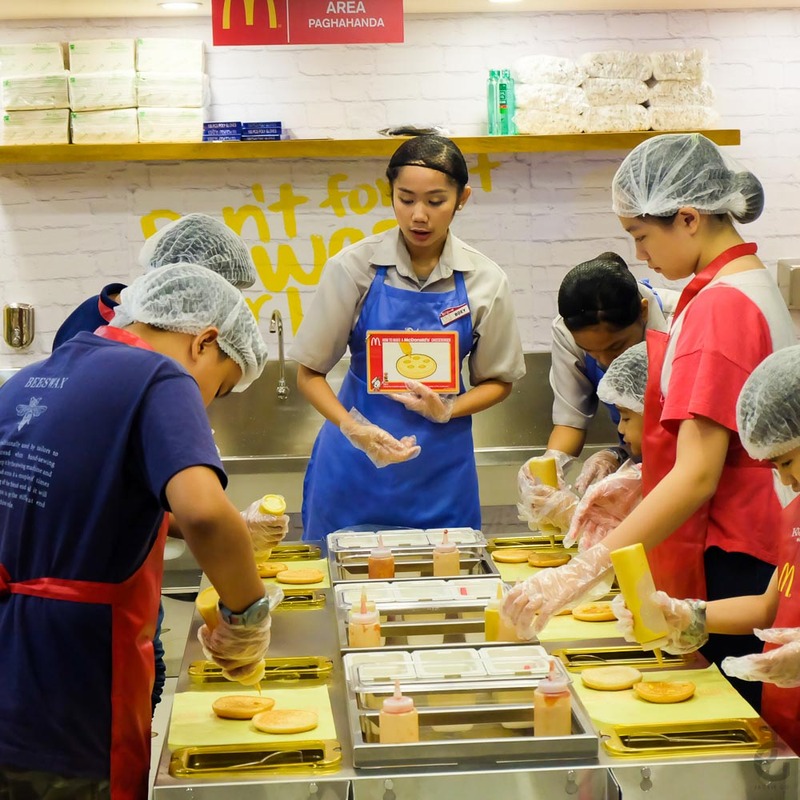 The opening of Mc Donald’s Burger Station inside the theme part was not coincidental to the opening of the real McDonald’s store at Park Triangle. 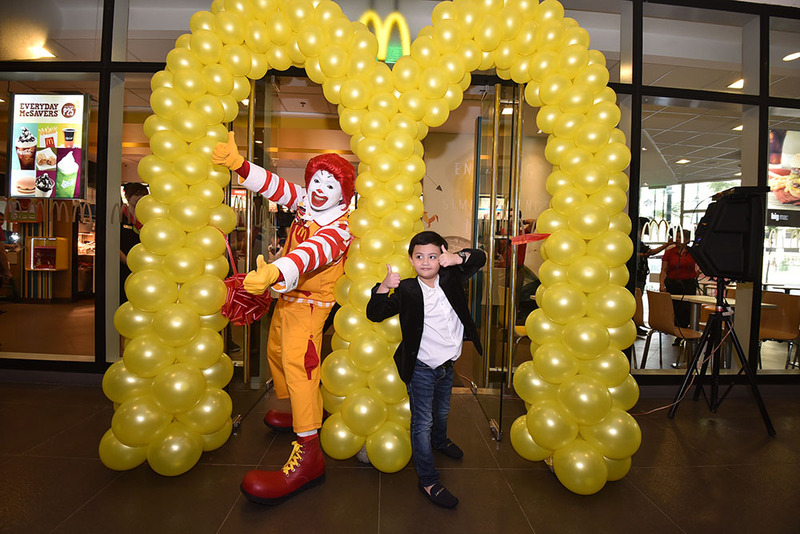 Ronald McDonald with Mc Chicken endorser, Alonzo Muhlach. 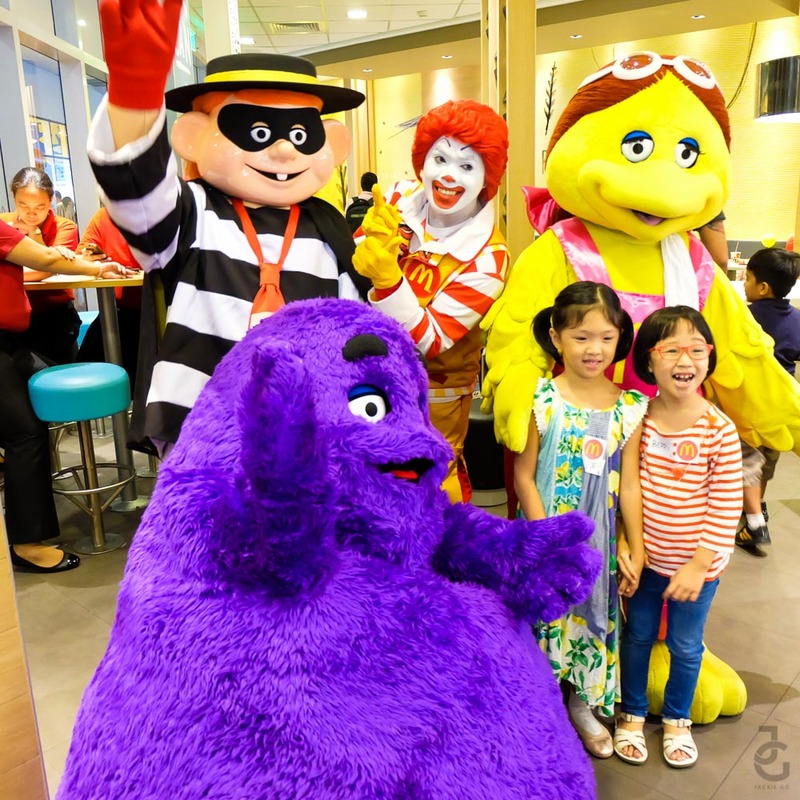 His Mc Chicken TV commercial is too adorable that my kids love imitating it! 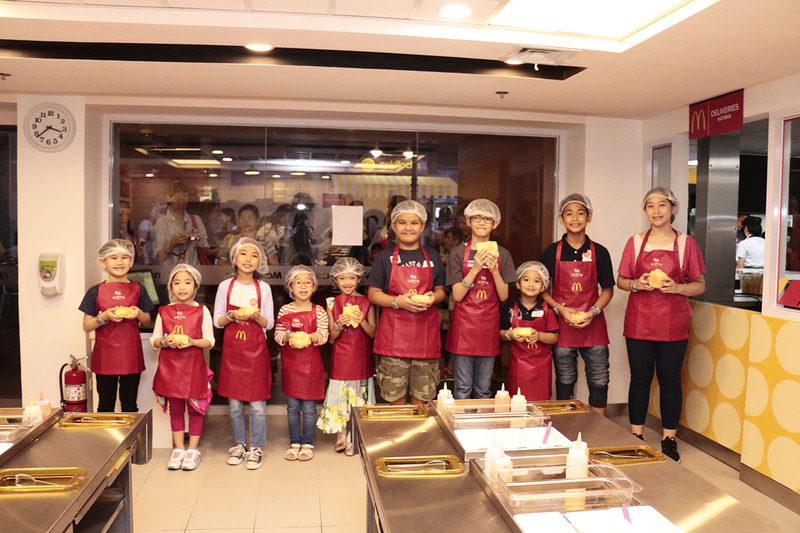 😉 The McDonald gang were all present during the opening of the McDonald’s store at Park Triangle, BGC. 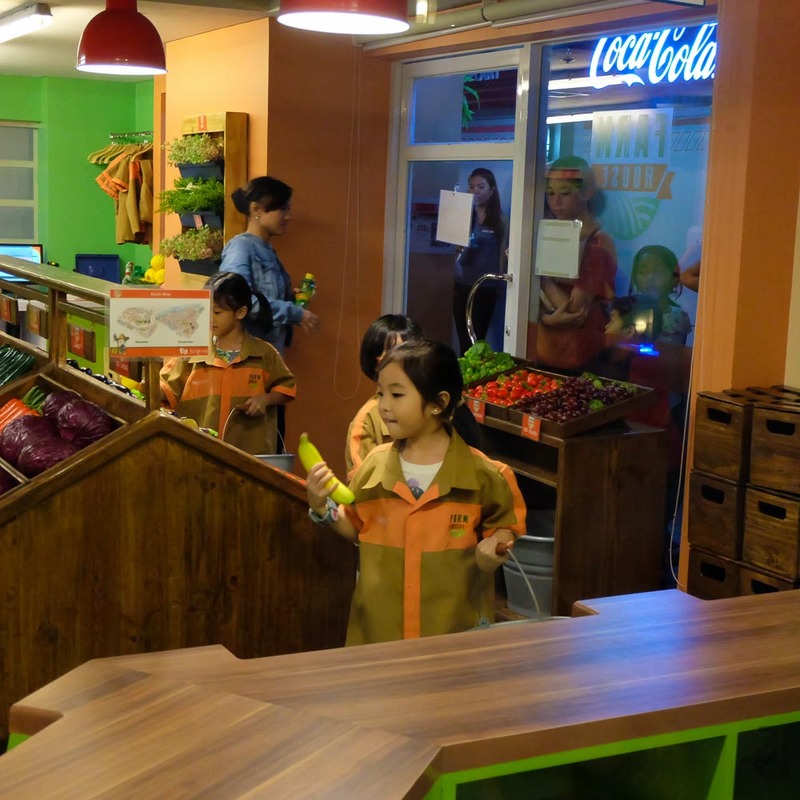 Shortly after having our snacks, we went straight to KidZania. 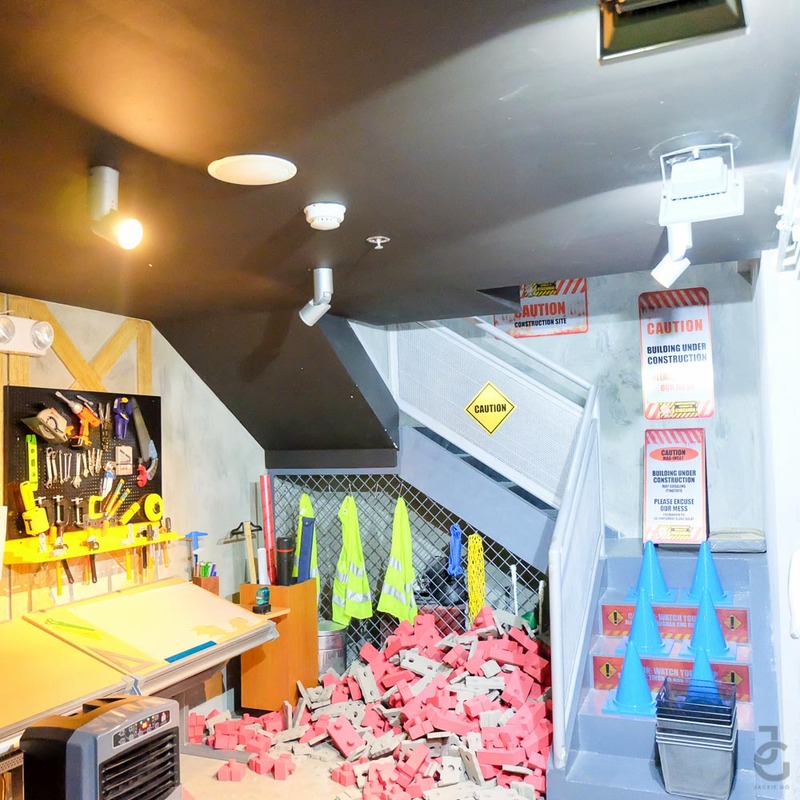 You enter through the airport terminal where you get your boarding pass. 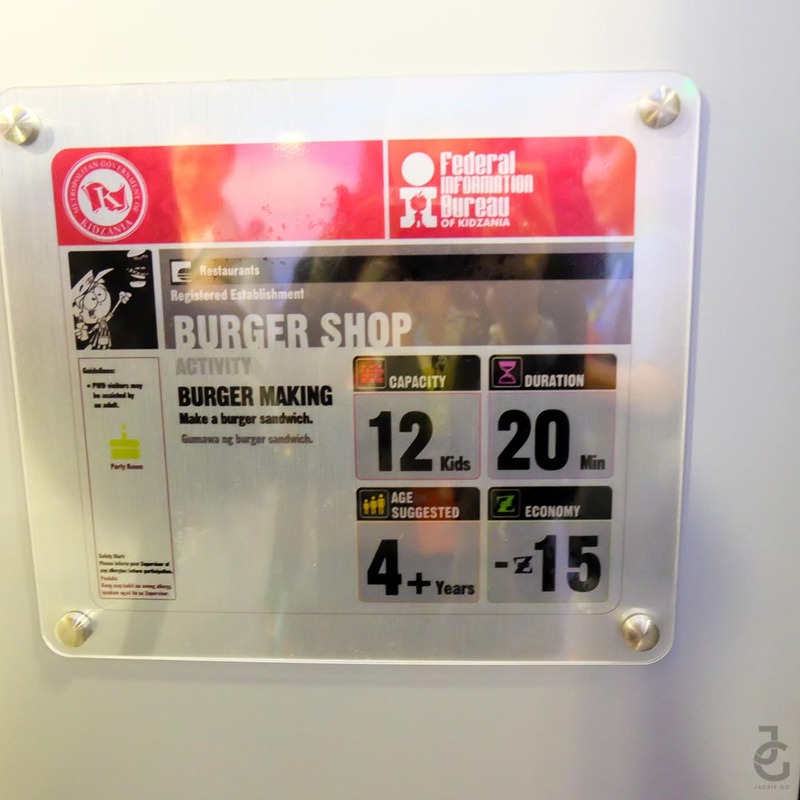 It is also where you get “tagged”with RFID (radio frequency ID). 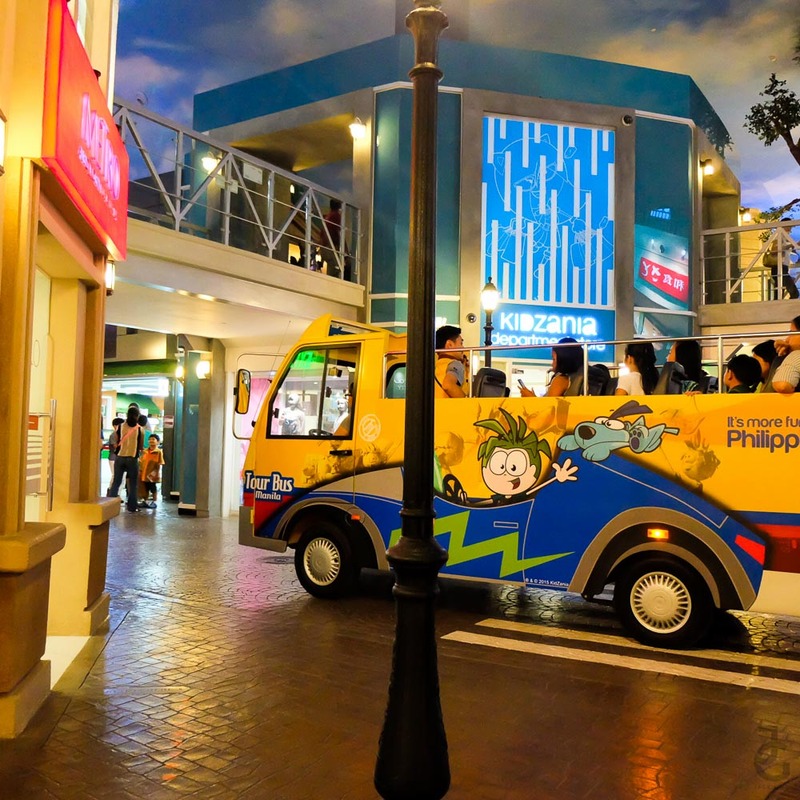 This is one of the efficient security easement of KidZania, aside from the CCTV cameras scattered all over the place, a paging system is also available. 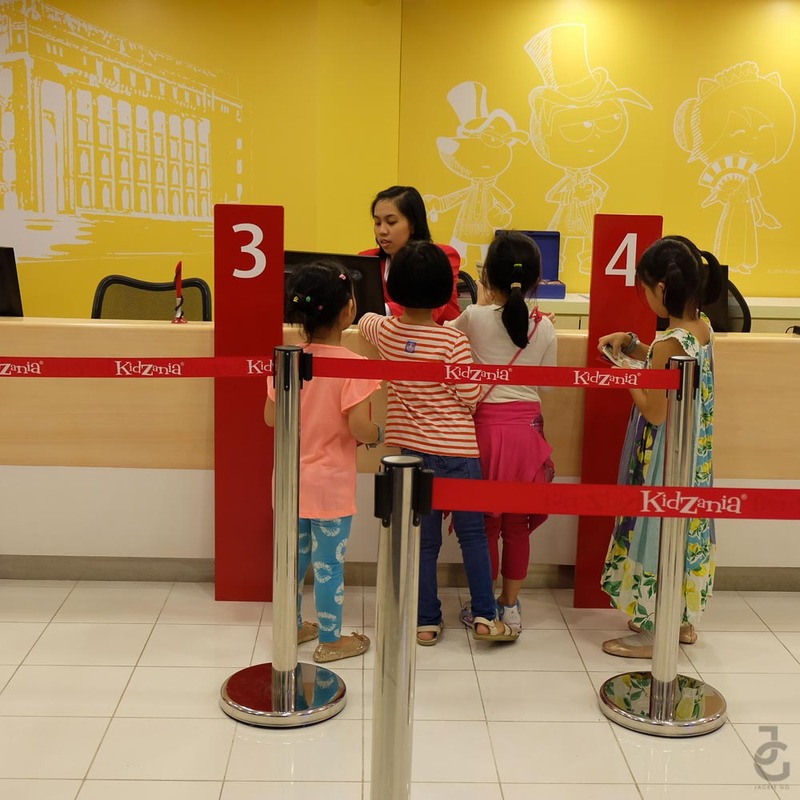 Upon entry, a child automatically gets 50 KidZos in check which he/she can encash at BPI bank. 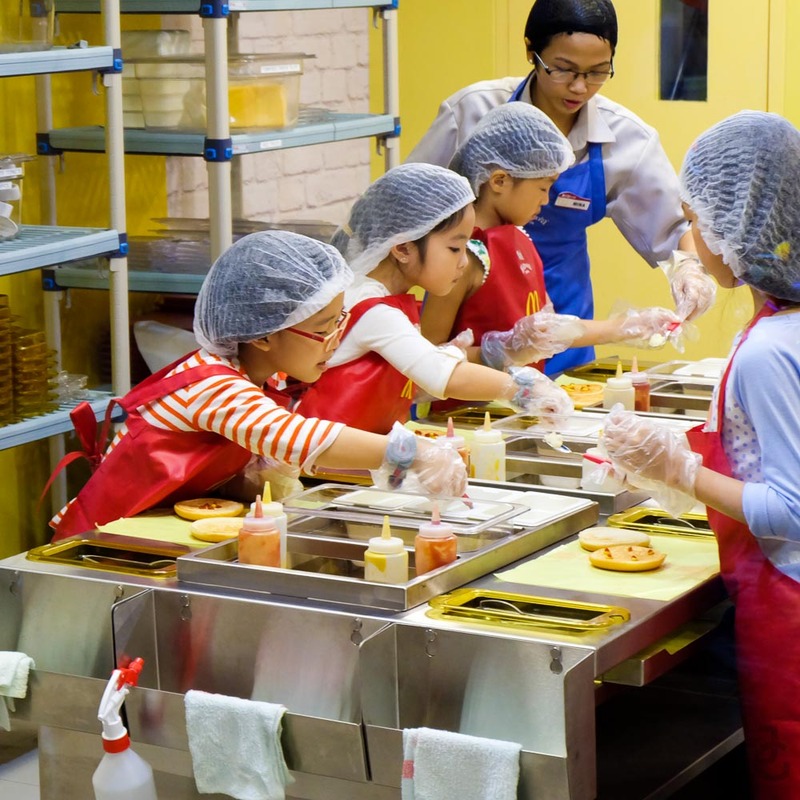 The KidZos can be spent inside KidZania either to pay for training/services or buy a reward. 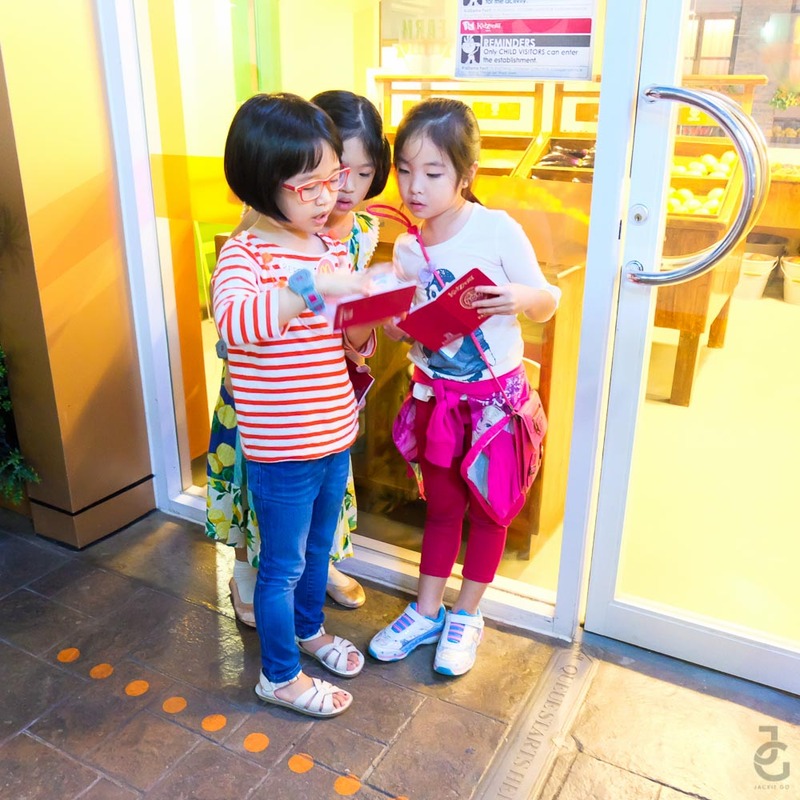 This is how they wait to board – planning and mapping their way to KidZania. Hi Berry, Yuki & Gabbie! 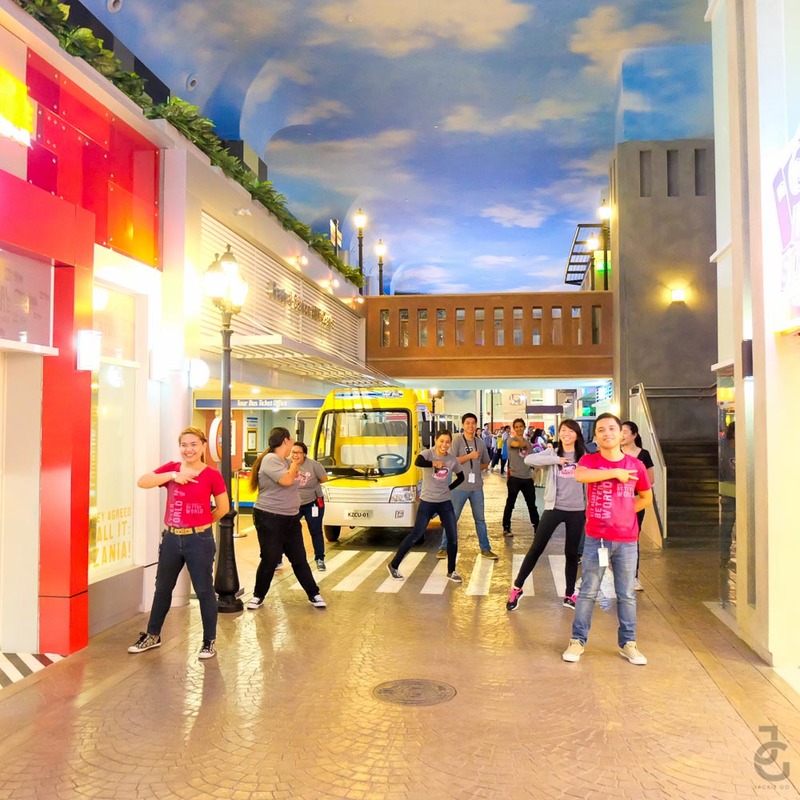 We were greeted with a warm dance number from the well-trained staff of Kidzania.
. 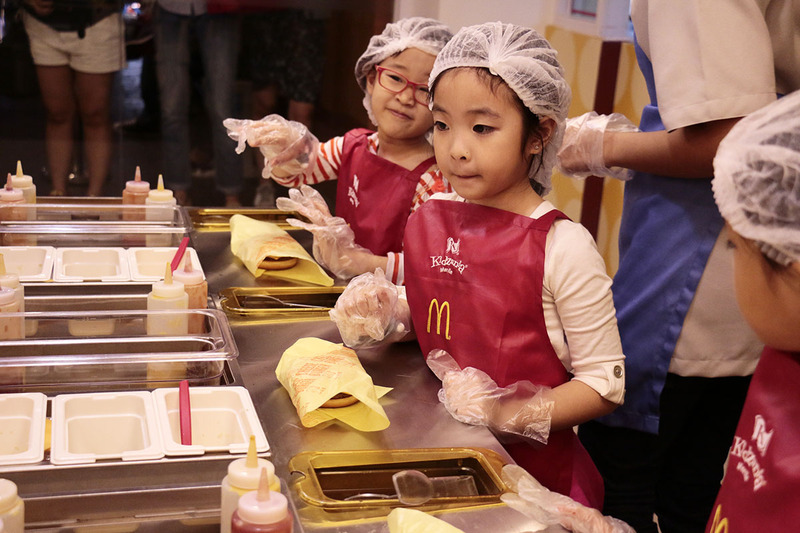 In McDonald’s Burger Shop, a child pays 15 Kidzos but if she/he has a KidZania paZZport, she/he needs to only pay 13 Kidzos. 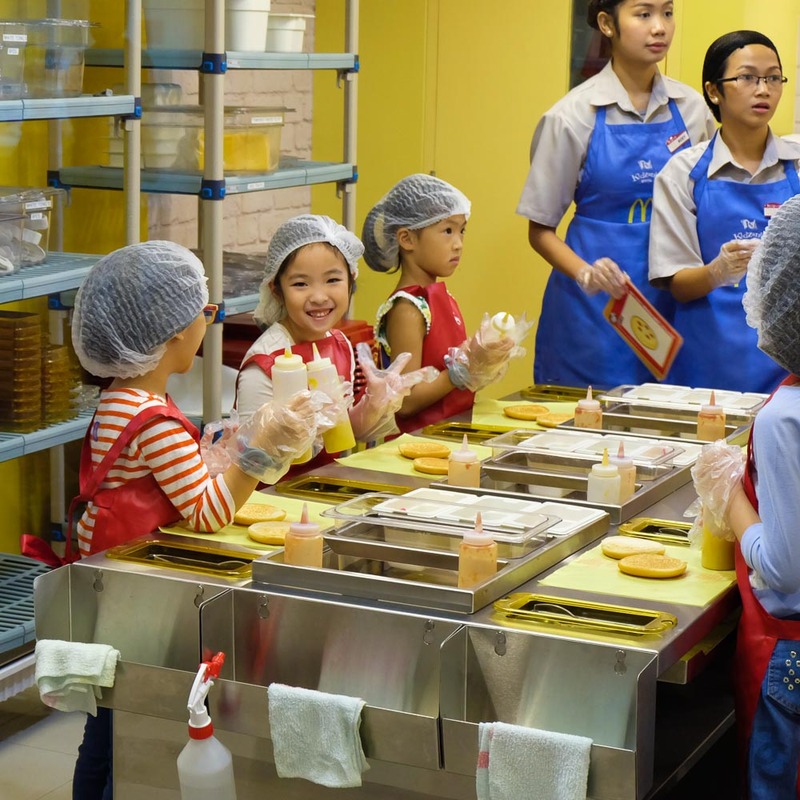 Kid-sized kitchen just for kids. This is too kyoooot! 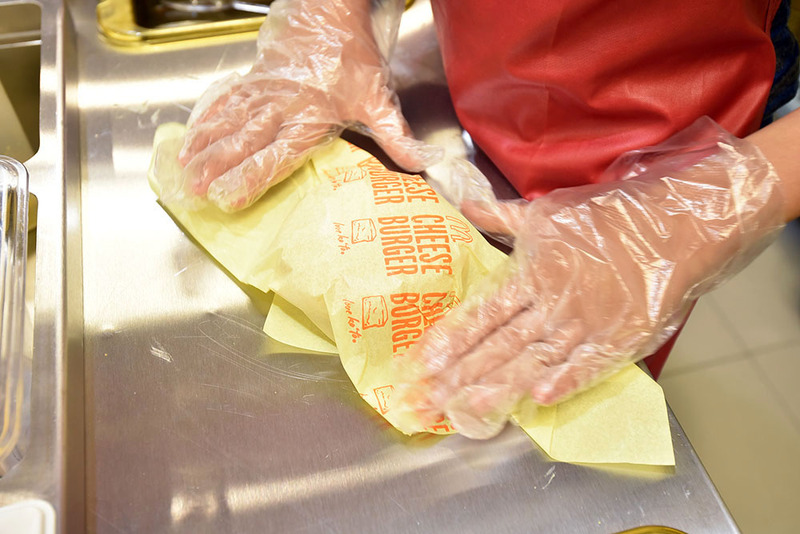 First things first, before handling food – one must wash hands. 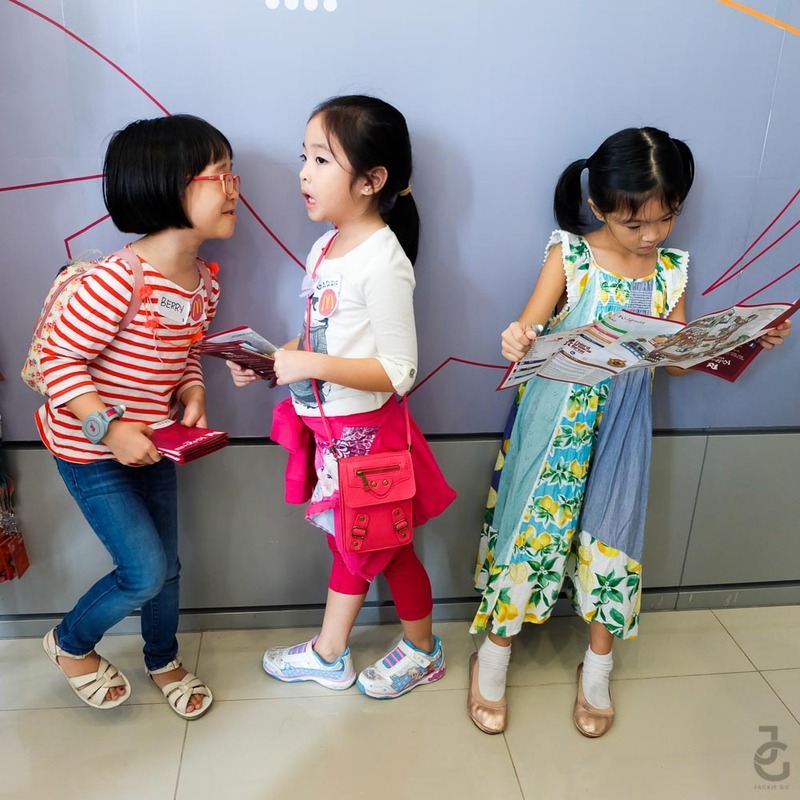 These girls couldn’t contain their excitement. Berry goofing around with the condiments. Too kyooot! 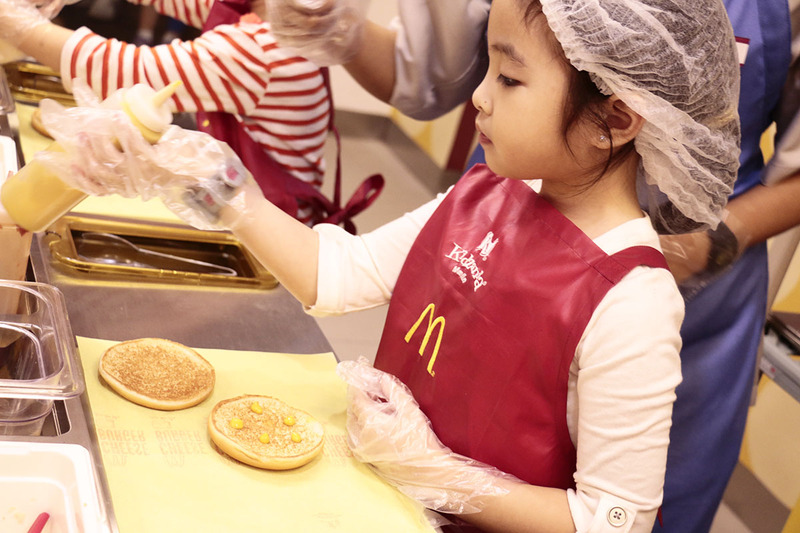 The kids will learn the same procedure that real crew members use in preparing a delicious Mc Donald’s cheeseburger. 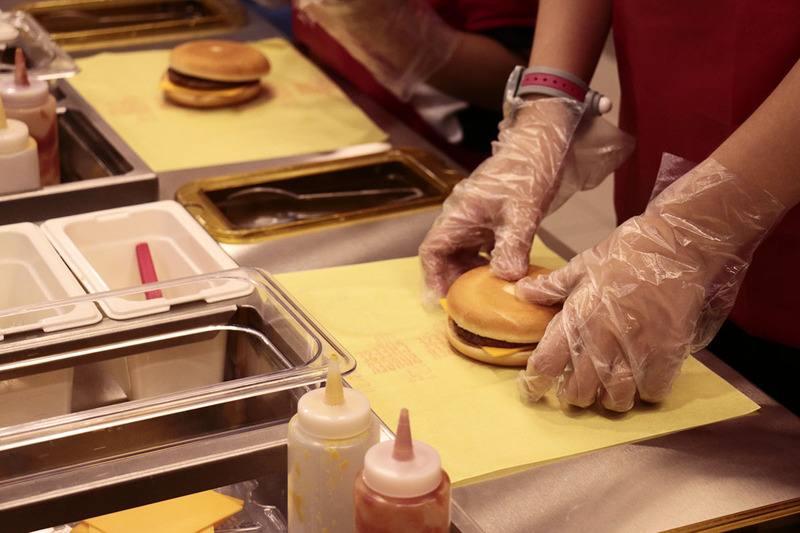 They’ll put together all of its tasty ingredients- 100% pure beef patty, a slice of American cheese, tangy pickles, minced onions, ketchup, mustard, and perfectly toasted buns. 5 dots of ketchup and 5 dots of mustard is the way to do it. 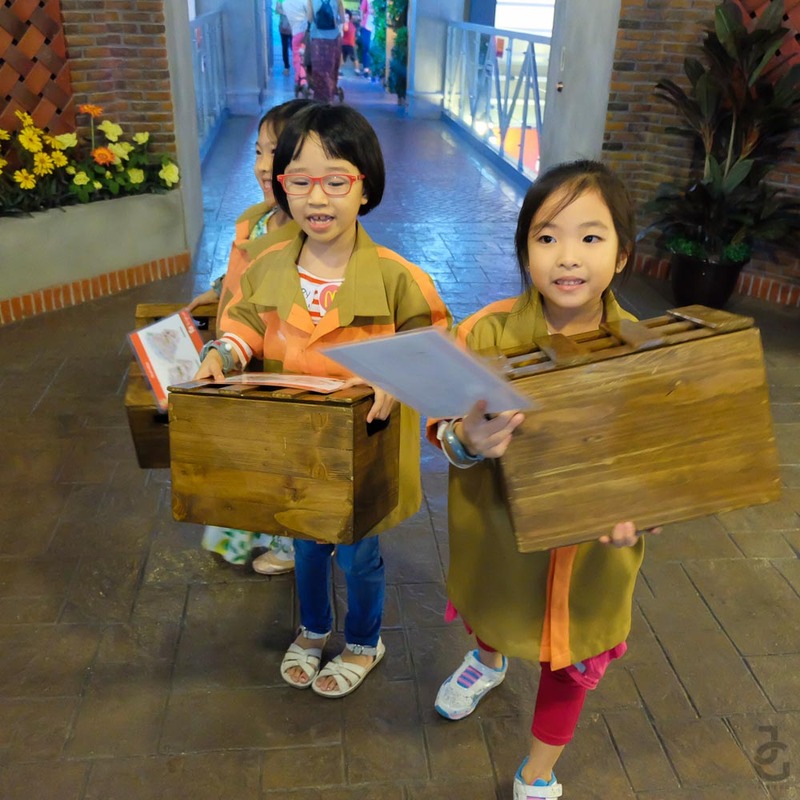 After the fun activity at the Burger Shop, the girls went about exploring KidZania. 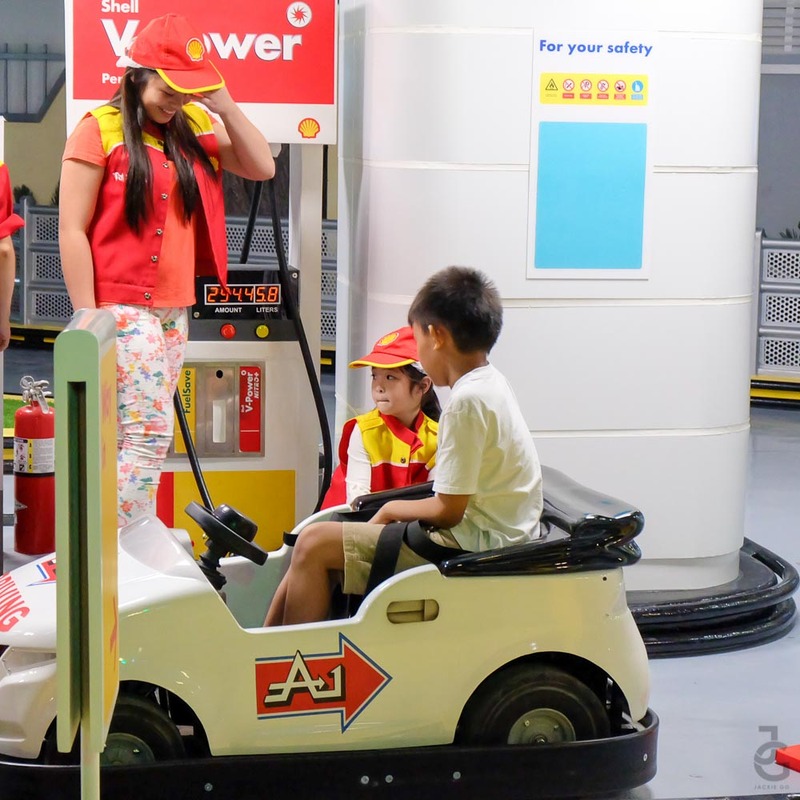 The next thing that caught their eye was the gas station where they can work servicing the cars or drive the cars. 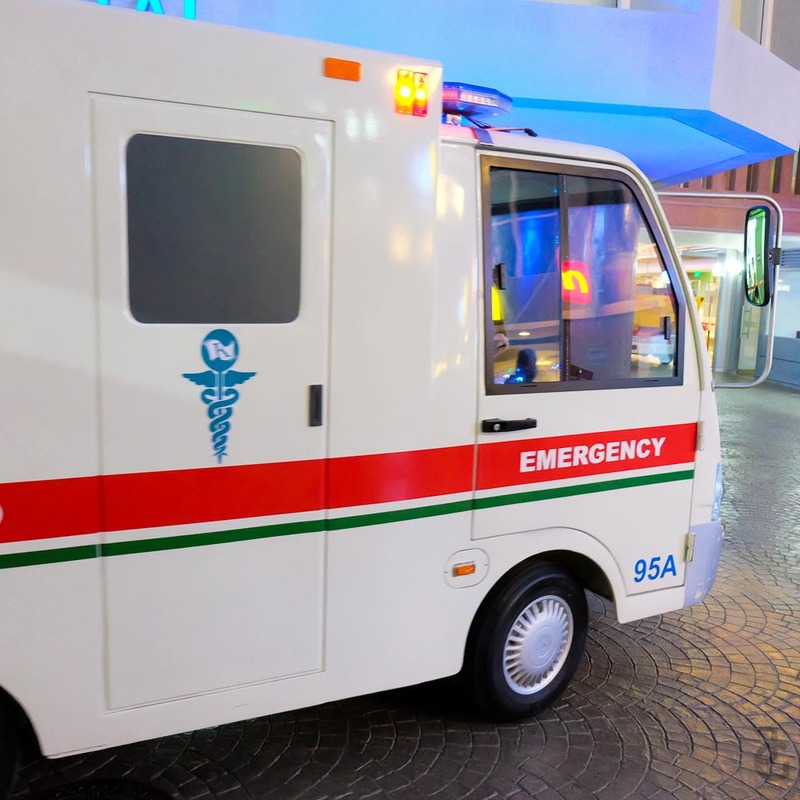 But in order for one to drive a car, one must have a license first. 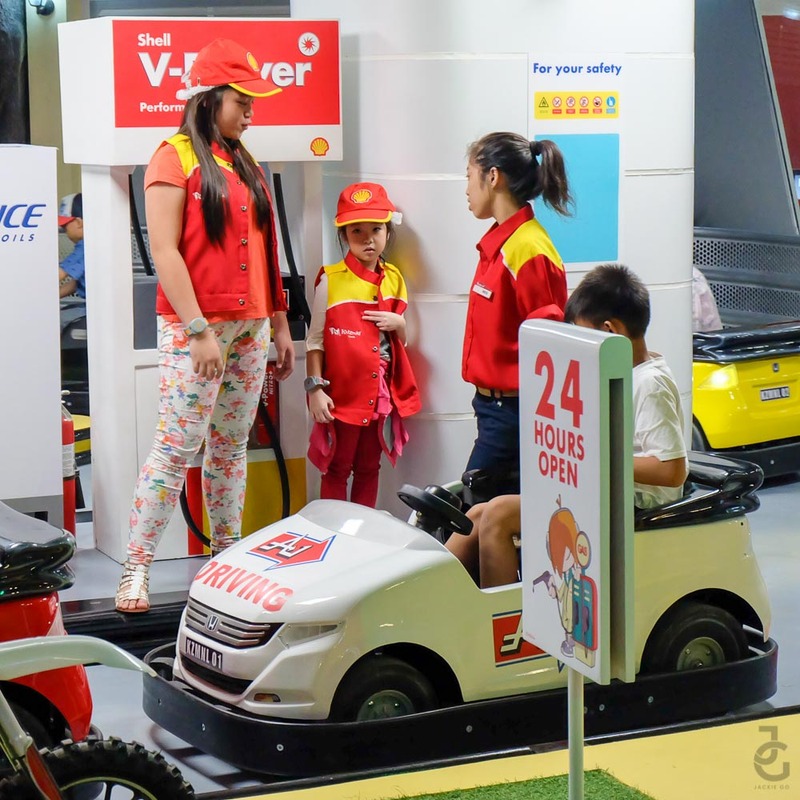 At KidZania, one can take a driver’s license exam if she is 6 years old and above. 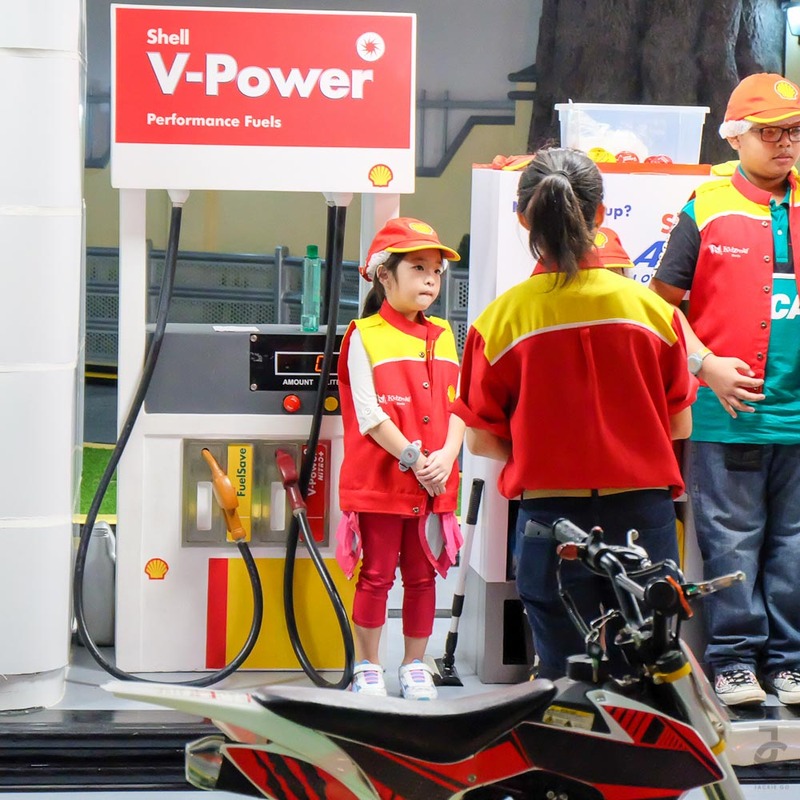 Since my lil Ms. JG is a year young, she decided to work at the gas station instead. Building something with my hands is so much fun!- lil’ Ms. JG. Jail time for photo purposes only. Hihi. 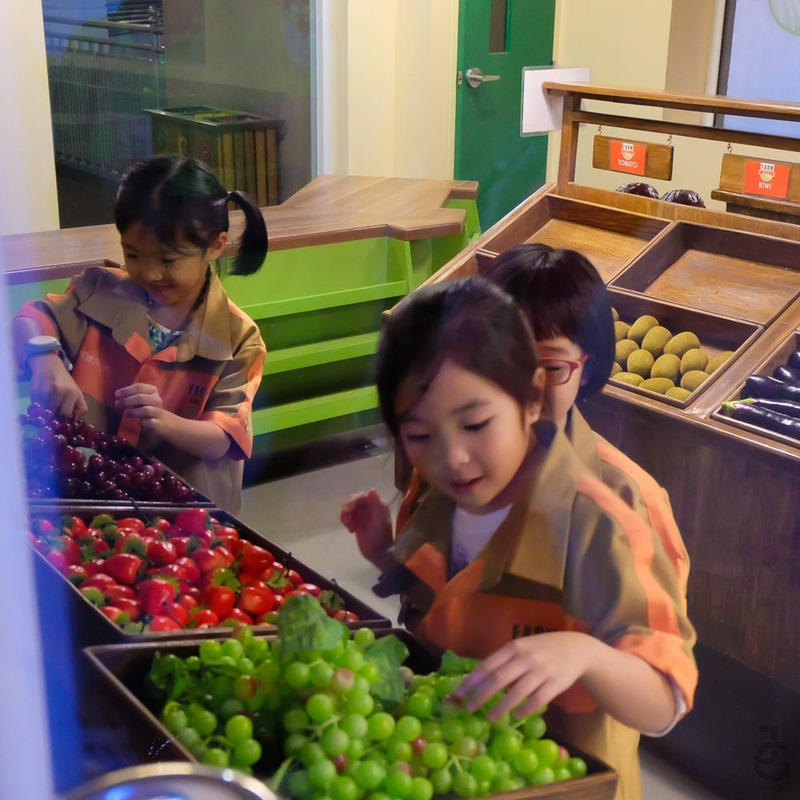 These little farmers had fun learning about the different fruits and vegetables. 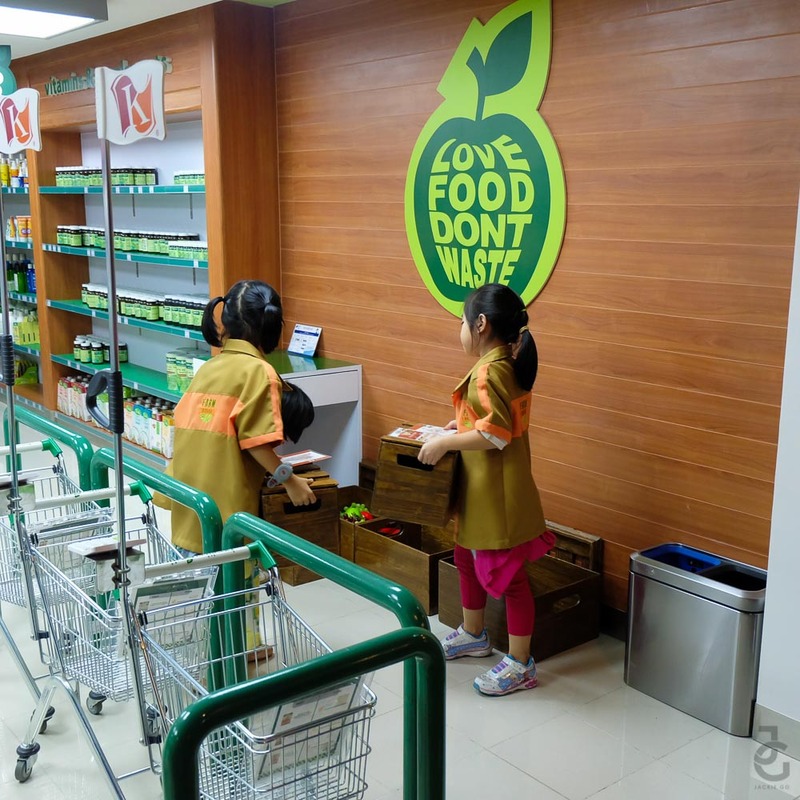 They were also very independent and managed to deliver their respective crates of produce to Healthy Options. 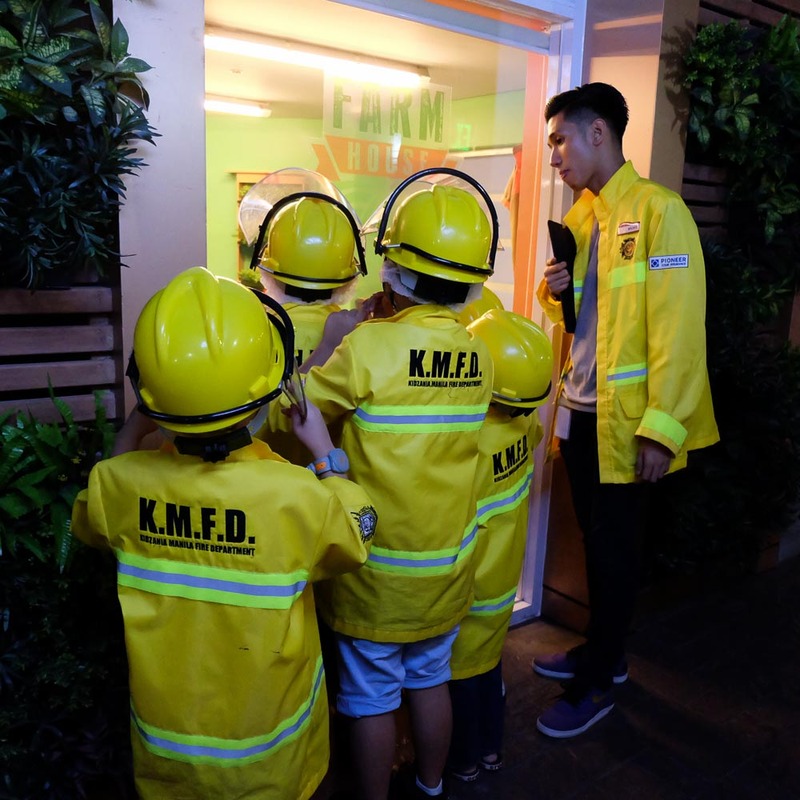 These little firemen were making rounds and checking if each establishment has a fire extinguisher and adhere to fire-safety standards. My lil’ Ms. JG & friends worked for a publishing company and managed to create their own comic strips. 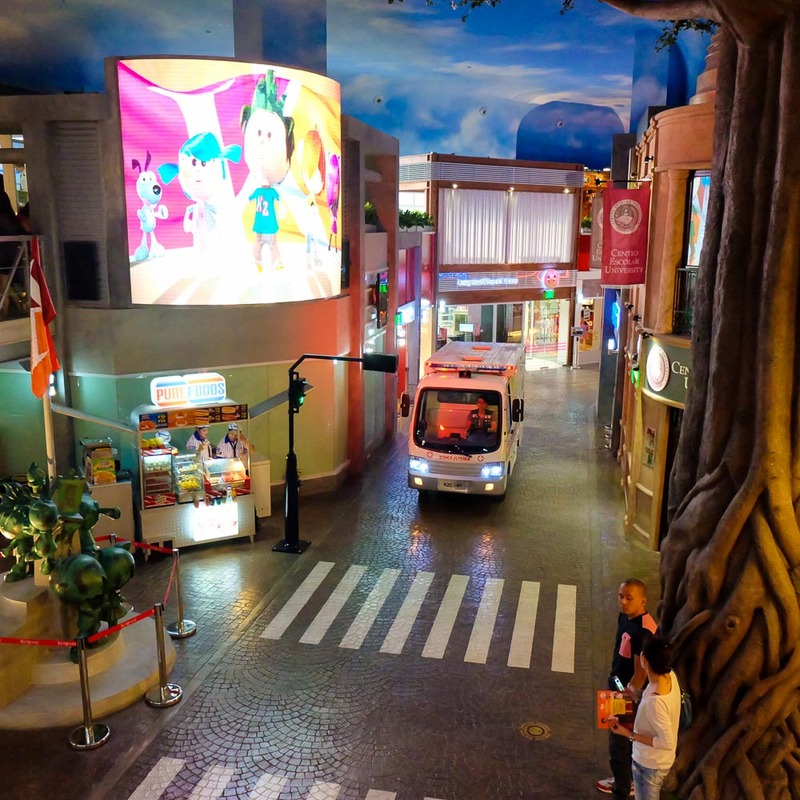 KidZania also implements rules and regulations for their citizens and tourists alike. 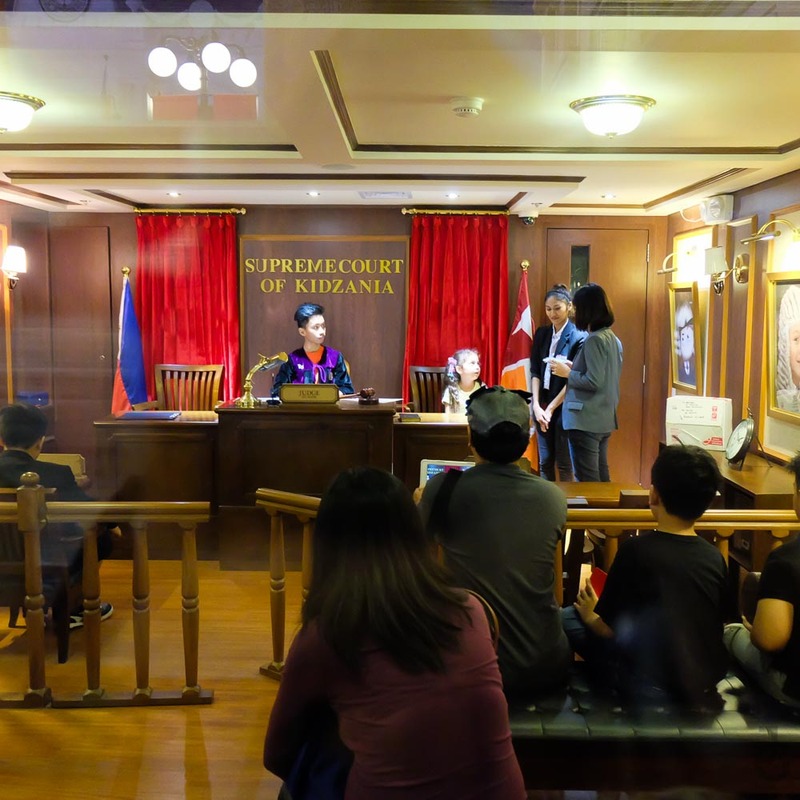 Here’s a peek at their Supreme Court in session. Lil’ Ms. JG with Louise of Mommy Practicality’s son, Wes. Urban Gardeners spotted walking around town. These Achis (big sisters) were excited to take care of their pretend babies. 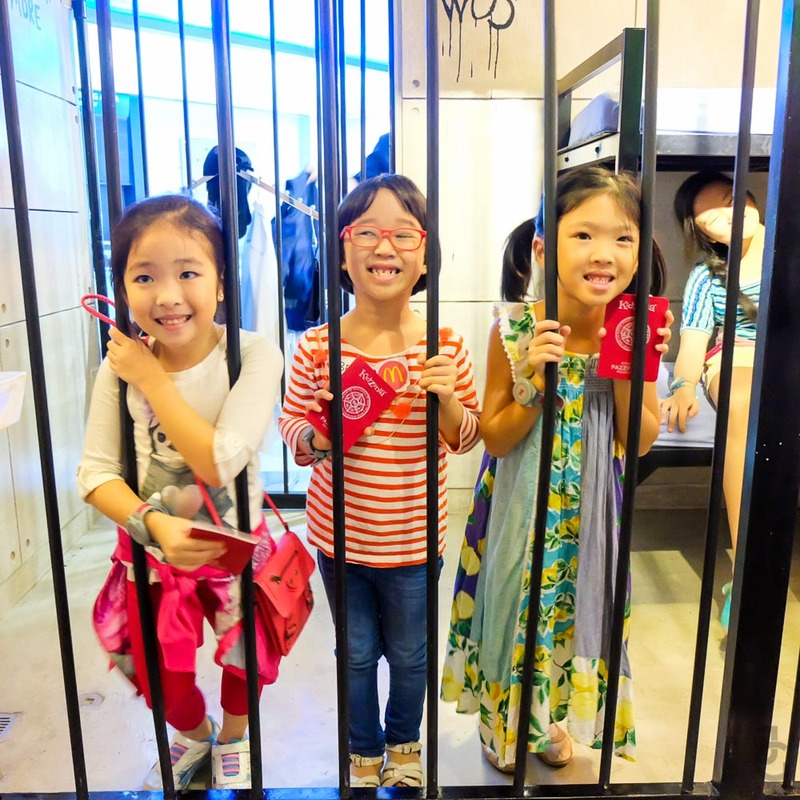 After a fun-filled day, these ladies decided to save up all the KidZos they earned. My lil’ cutie pie checking the balance of her account. Heehee. You’re good at saving more than me! 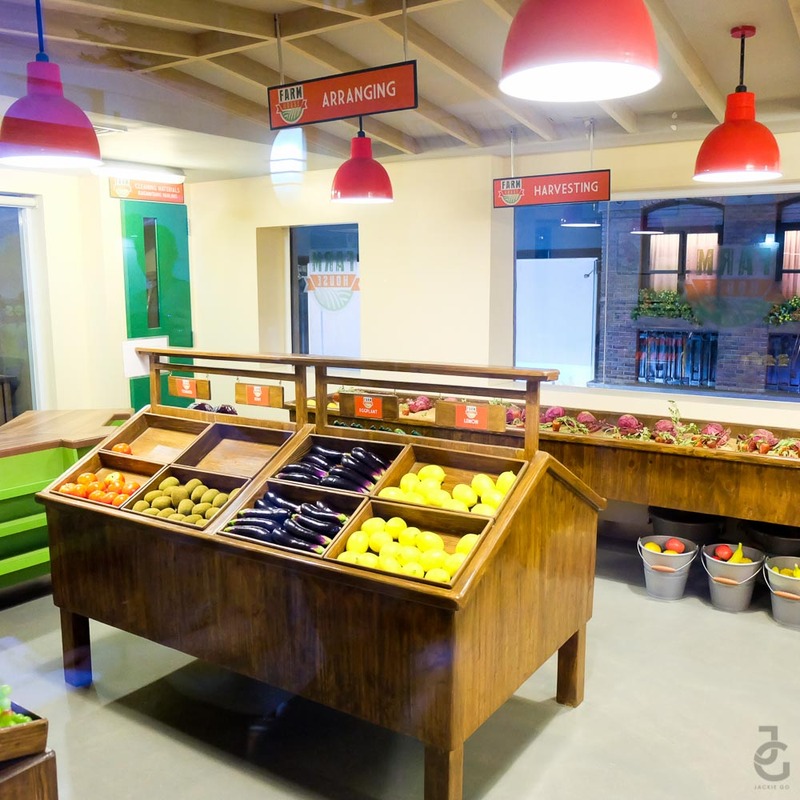 You can check out the complete list of establishments and their activities HERE. 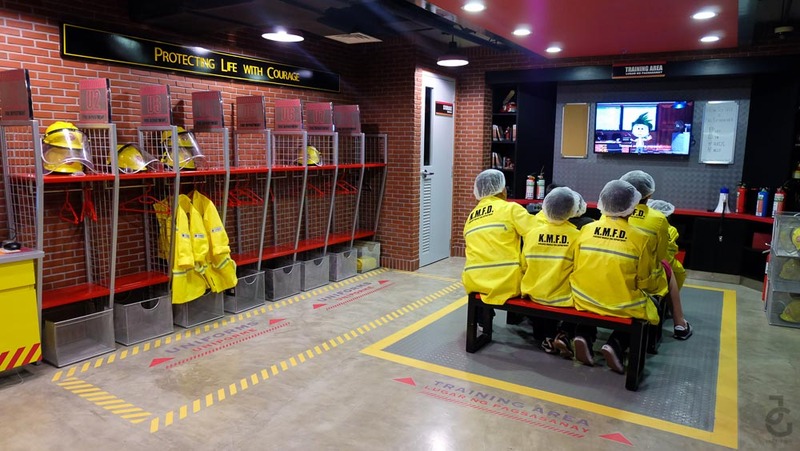 KidZania really is such a conducive place for learning. 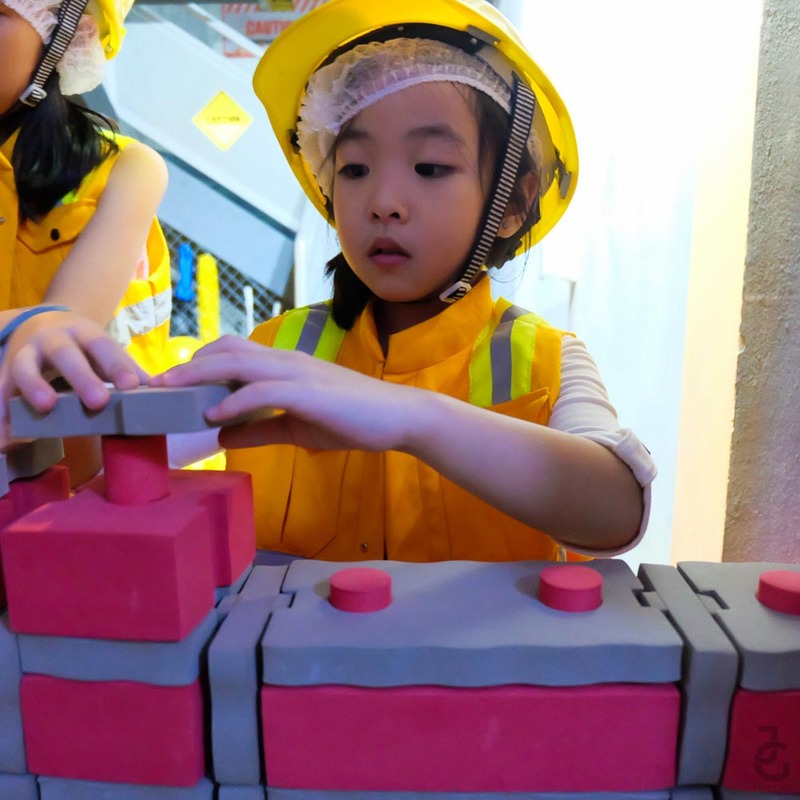 True to its core, it is a place where kids can do big things and let their creativity run free. 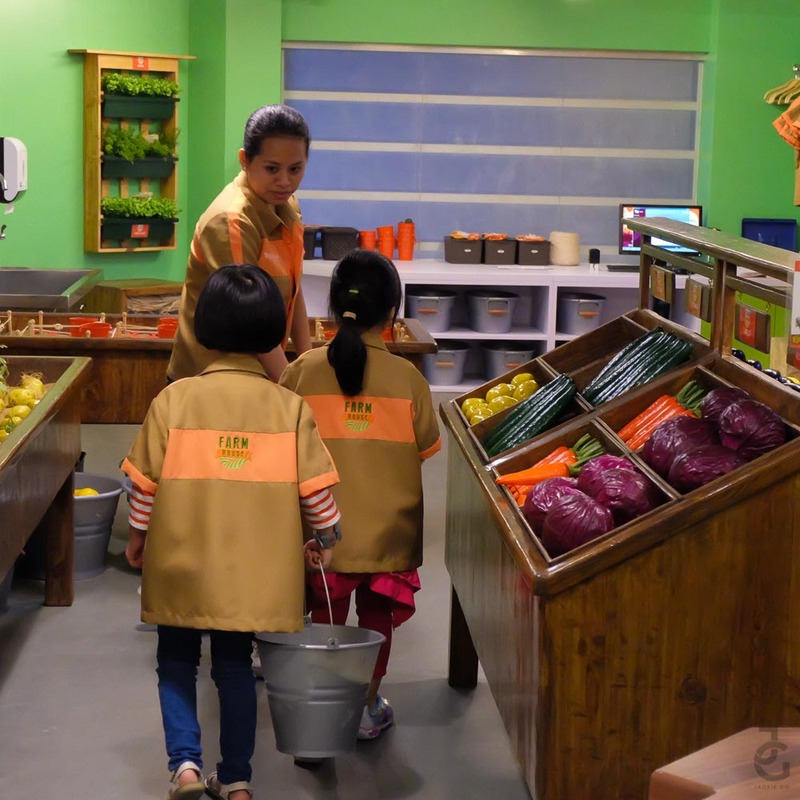 According to lil’ Ms. JG, her second time at Kidzania was no less than fun than the first and she plans to frequent the place with her friends. 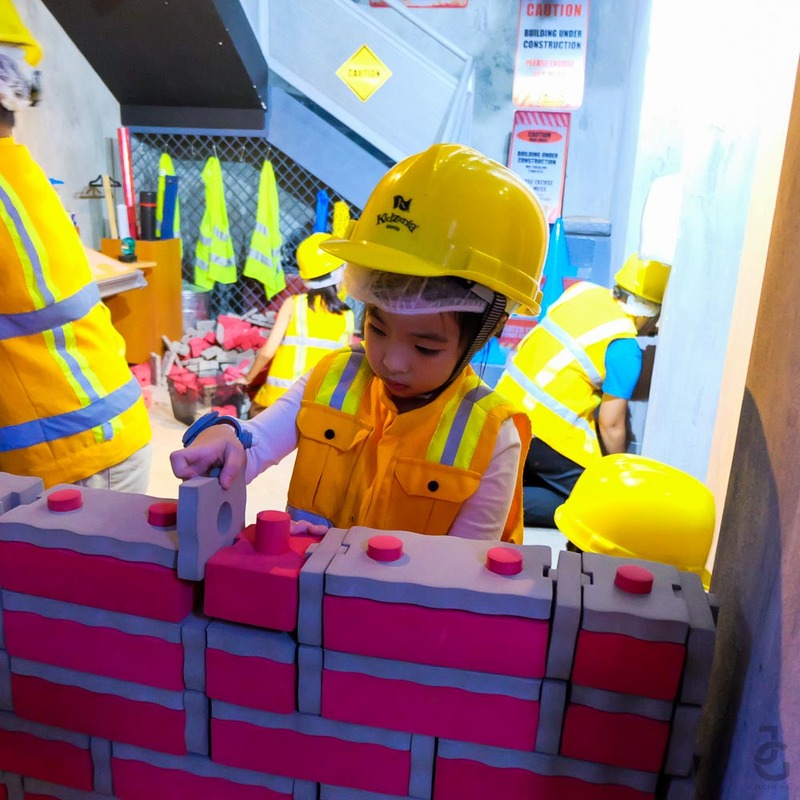 As a mom, I’ve observed and learned a few thing myself so I’m giving a few tips for those of you who want to visit KidZania with your kids. 1. Best for kids 4 years old and above. My lil’ Mr. JG went with us during our first visit last August. 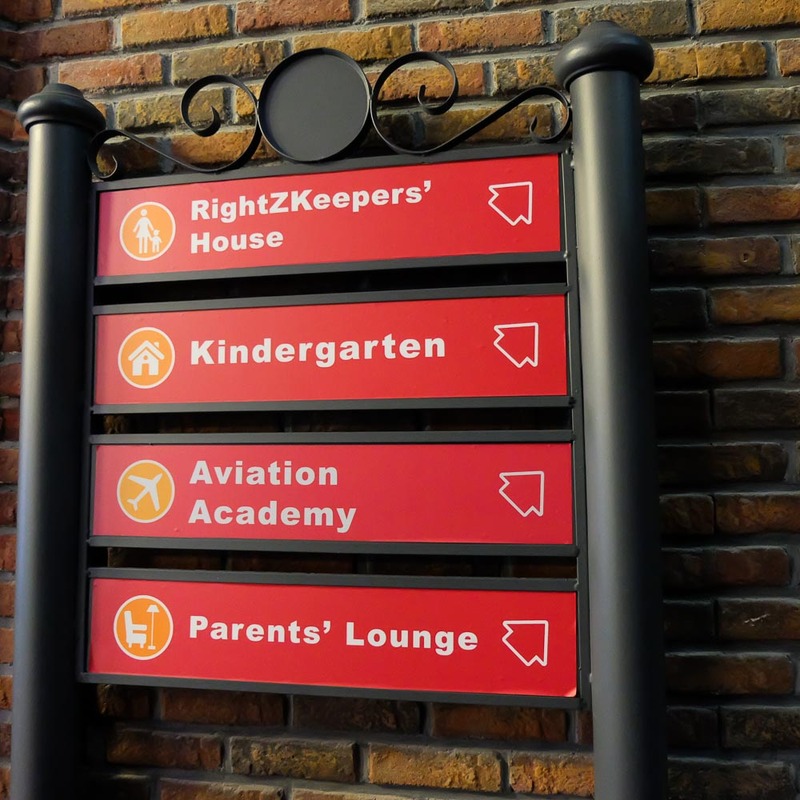 Though he had tons of fun at the RightZKeepers’ House and Kindergarten, these were the only two establishments he’s allowed to enter since he was just 2 years old. 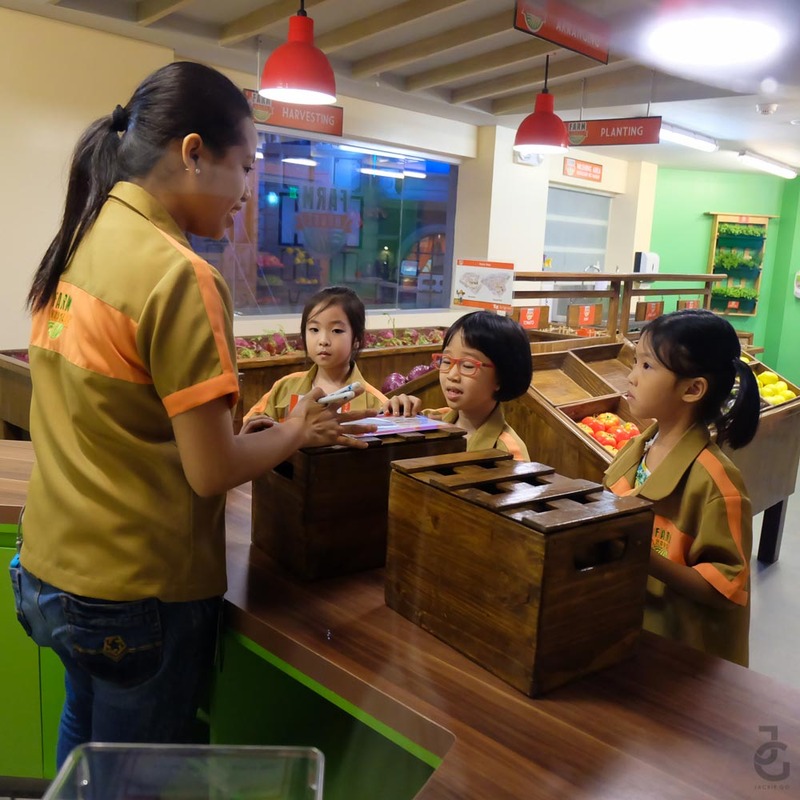 Most of the establishments are suitable for kids 4 years old and above. There are times that he would insist on trying the establishments with her Achi but he had no choice but to wait and eat, milk, walk around. For me, I’d bring him back when he’s 4. 2. Bring only what is necessary. 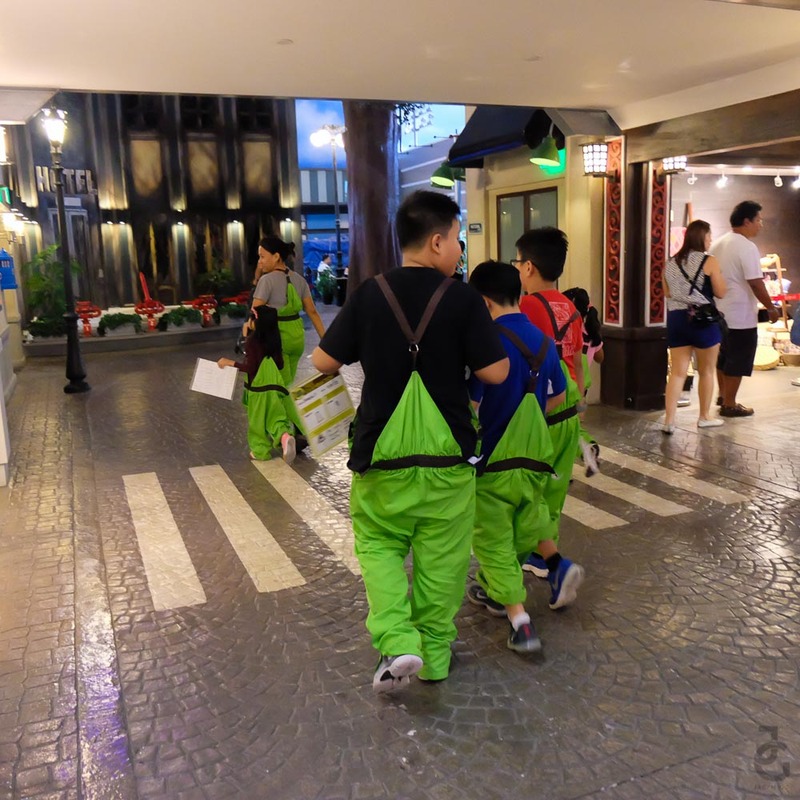 Since your child will be playing most of the time, he/she might ask you to carry his/her stuff for you. 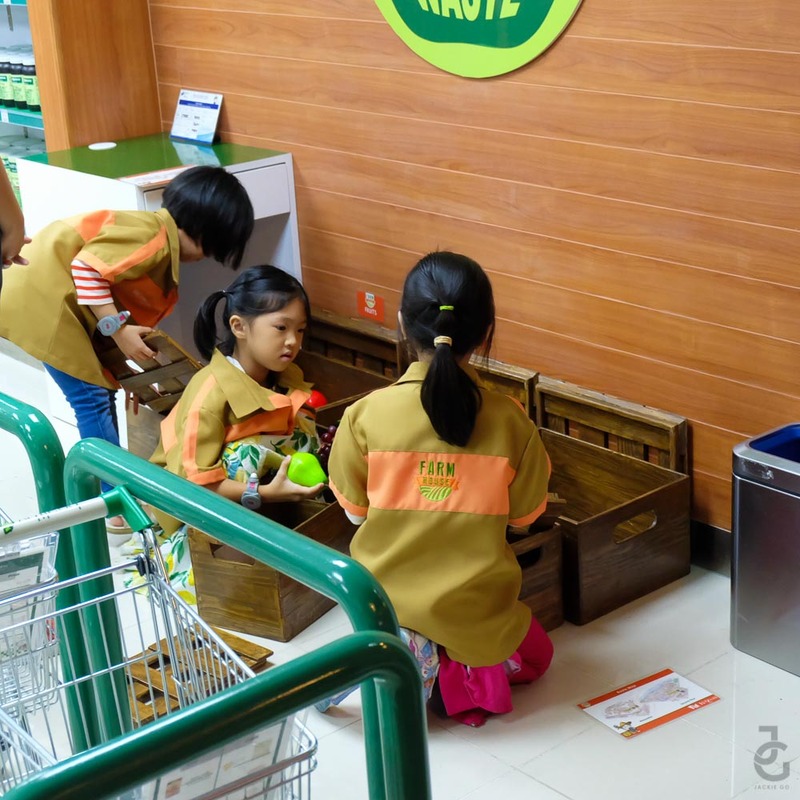 Although there are cubby holes/storage bins dedicated in most establishments, I suggest it’s better to just bring only a small bag with all the necessary things your child will need. 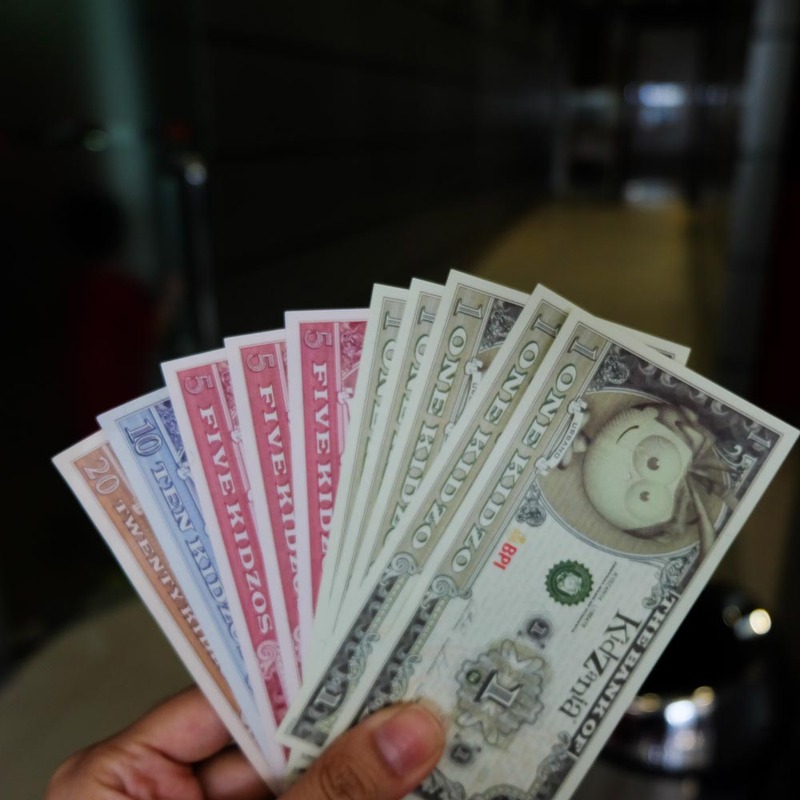 Let your child carry a body bag where he/she can put his/her money, passport, a hanky and small alcohol/sanitizer. 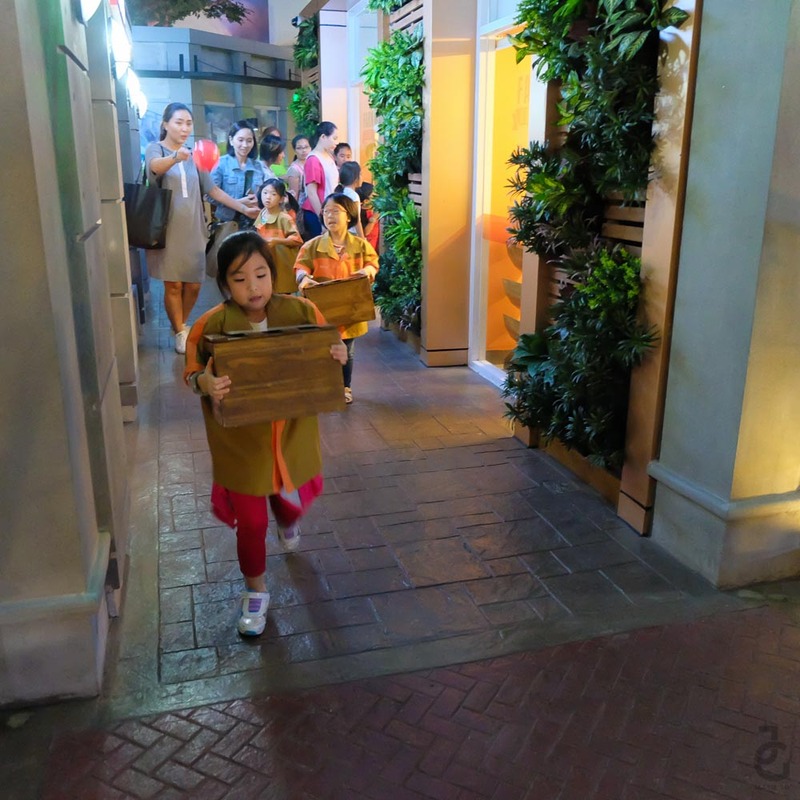 Also, it’s best not to bring food and drinks inside Kidzania. 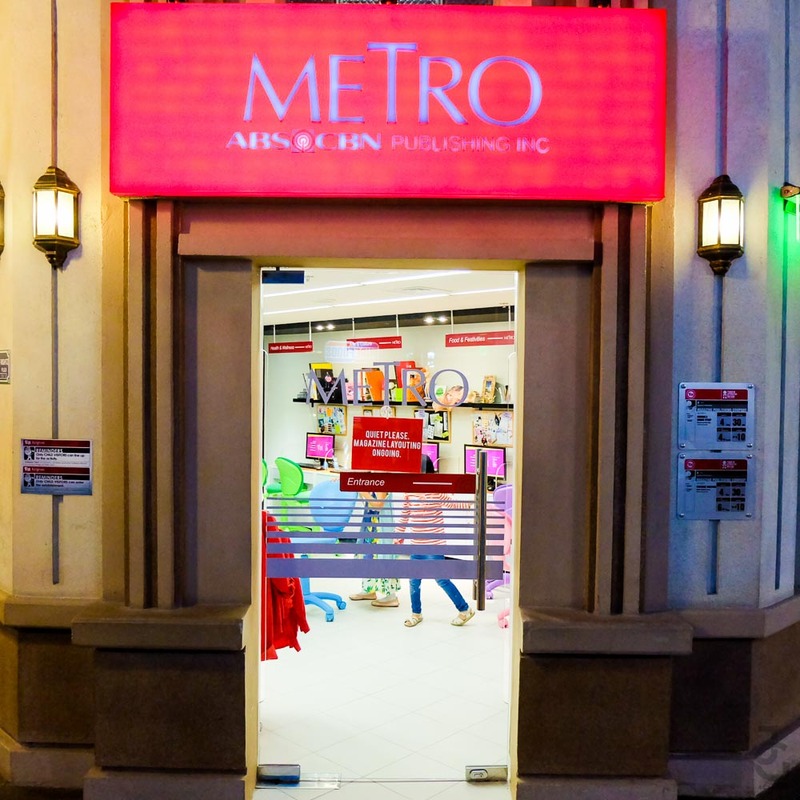 There are food and drink stalls/stores inside- Via Mare, Mc Donald’s, Mini Stop, Goldilocks, and Purefoods for you to indulge on. 3. Wear something comfortable. I had lil’ Ms. JG wear leggings instead of a dress or skirt so she can freely move and navigate the 8,000 square meters of play space. 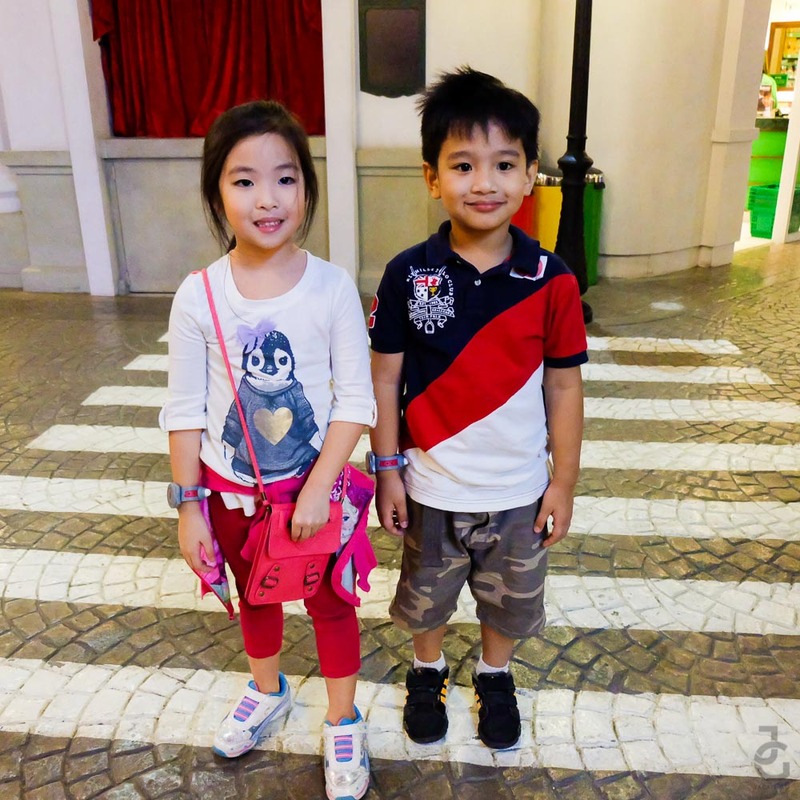 I also let her wear a comfy pair of shoes for when in KidZania, expect lots of walking and waiting. 4. Best to plan your visit. 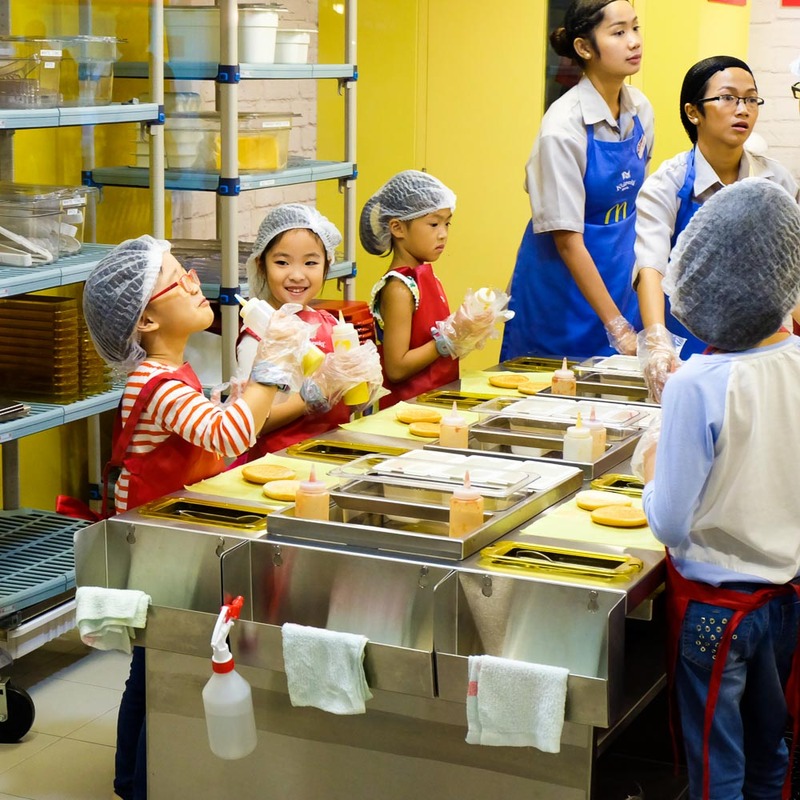 On Mondays to Thursdays, there is only 1 shift- kids can play from 9AM to 4PM, while on Fridays to Sundays (and National Holidays) there are 2 shifts, 9Am to 2PM and 3PM to 8PM. You can purchase your tickets online through Ticket World or take your chances via walk-in. 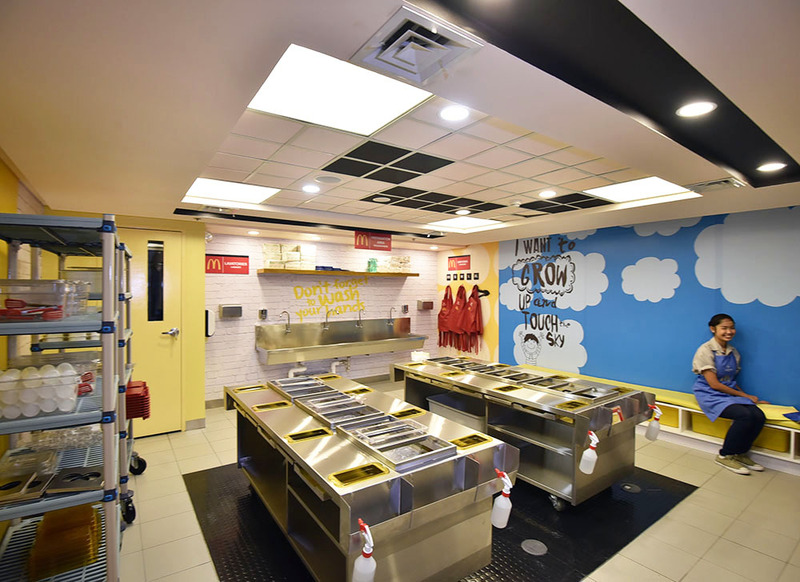 Kidzania ticket counters open at 8AM. 5. 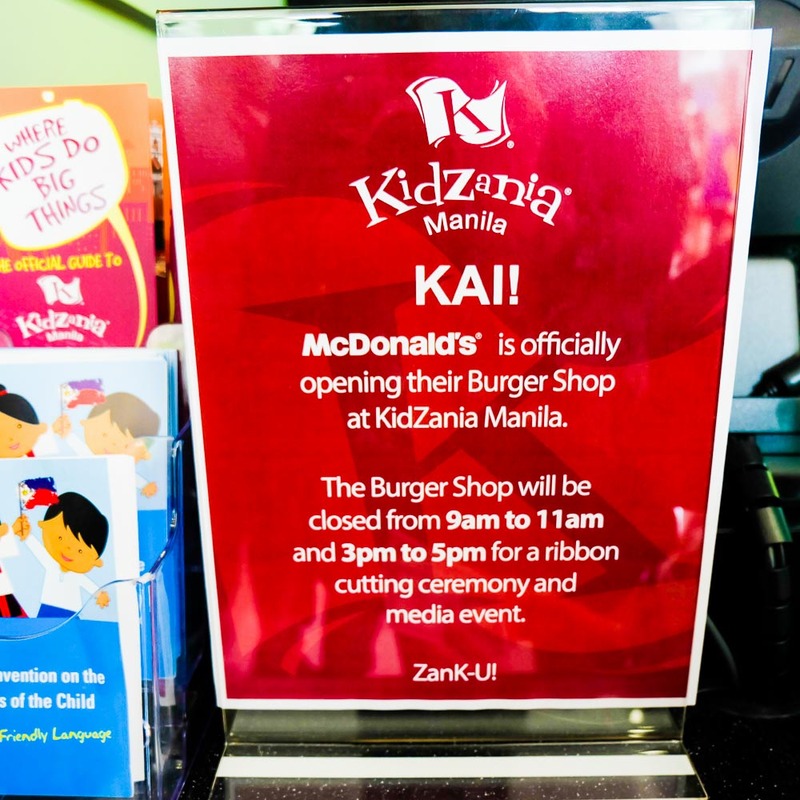 Bring a valid ID for you and your kids. 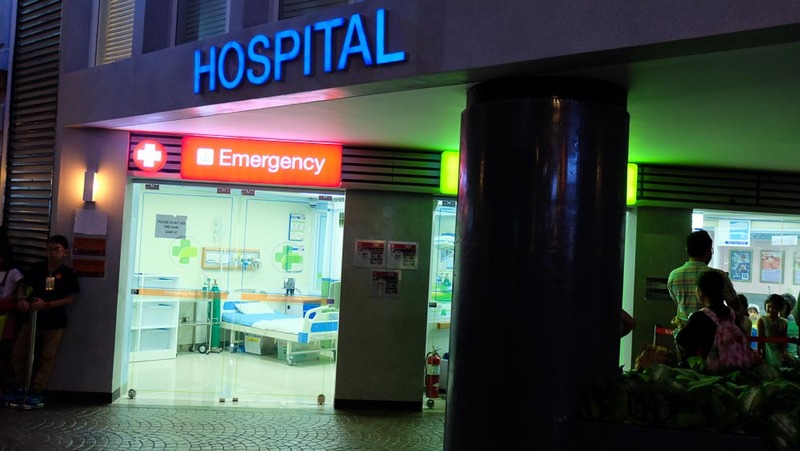 Although we weren’t asked for our IDs during our visits, best to bring any government issued ID for the adult and school ID or NSO birth certificate of the child. 6. Map it out. 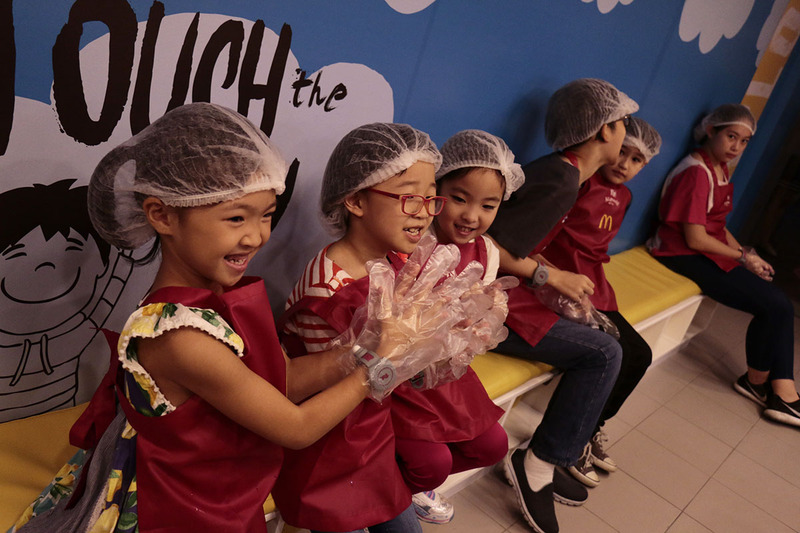 5 hours inside Kidzania is what makes up one shift. 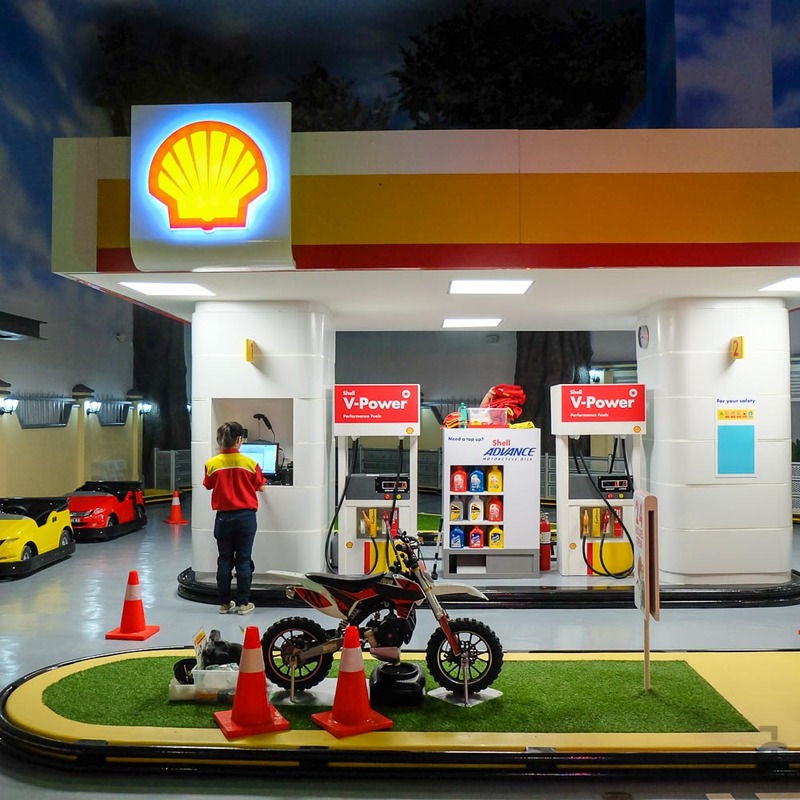 This may seem enough for your child to visit all the establishments, unfortunately, it isn’t. 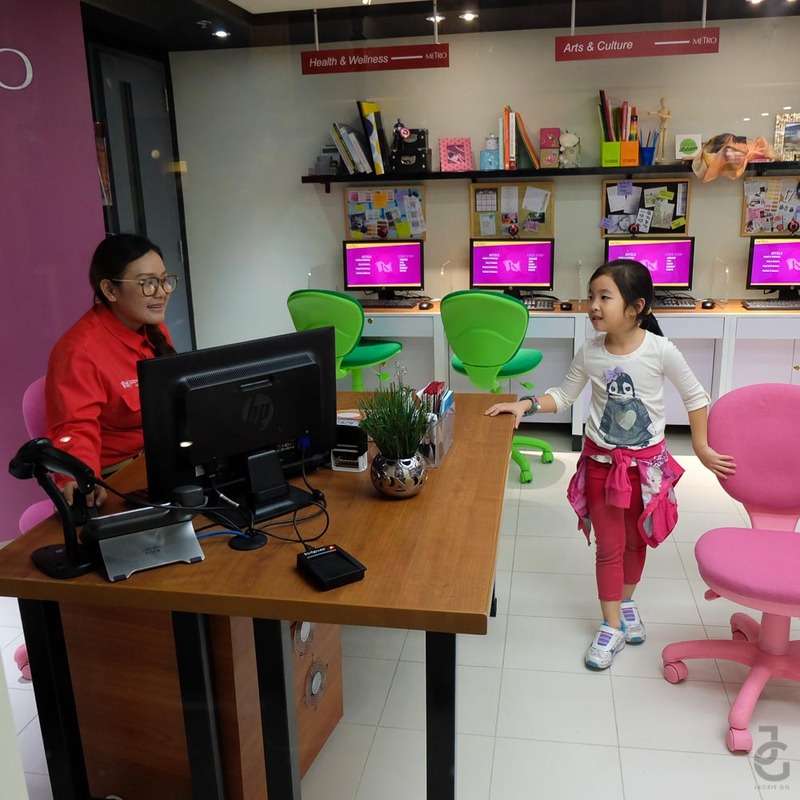 So it’s best to visit the KidZania website and plan what establishments your child wants to try. 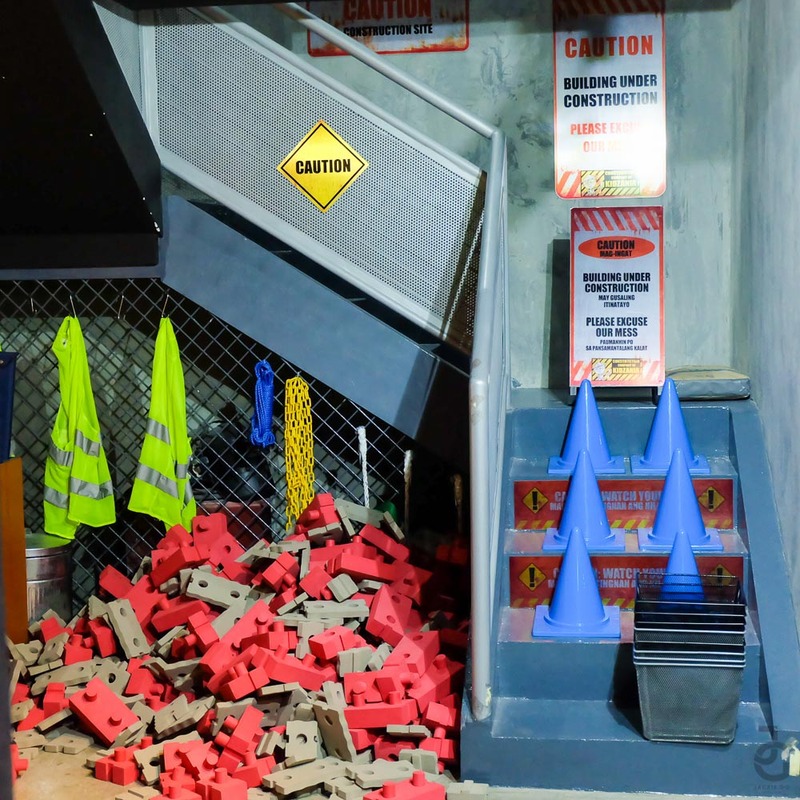 This way, you get to prioritize the activities your child wants and visit the rest next time. 7. Be a citiZen and get a passport. 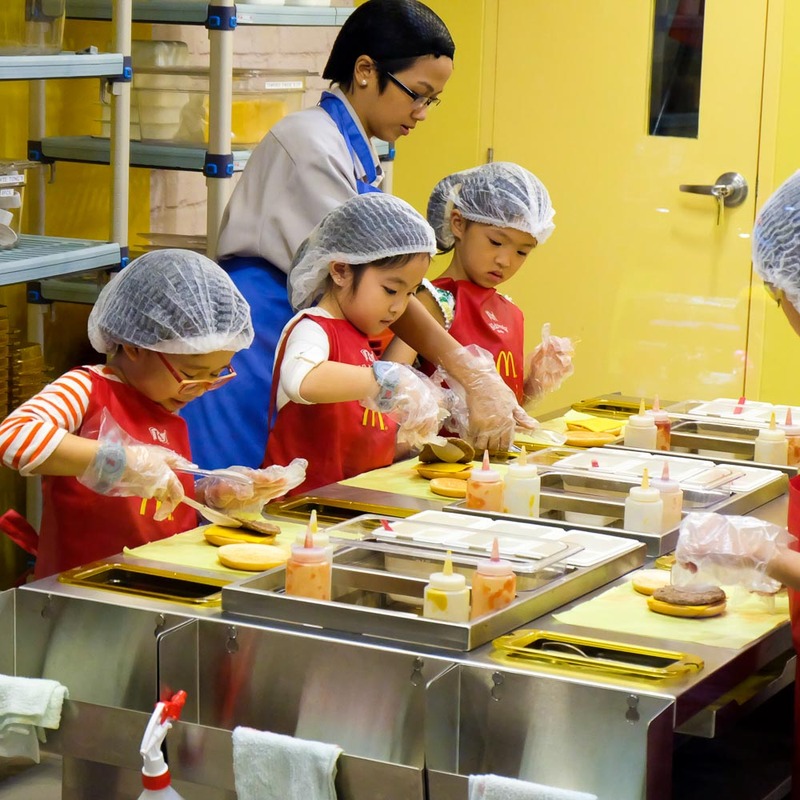 Want your child to earn more or pay less? 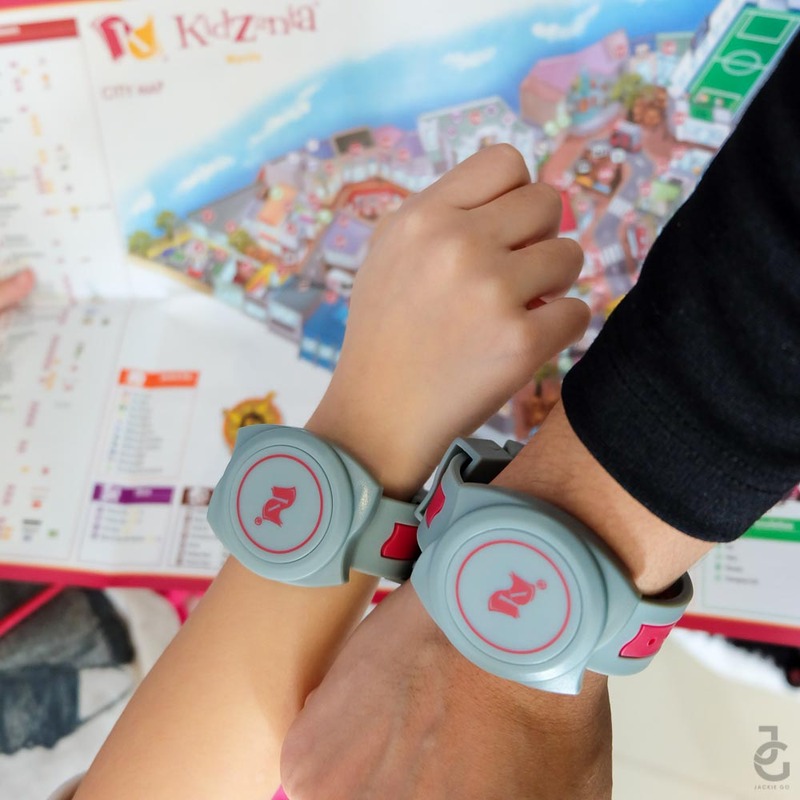 Then let her get a KidZania PaZZport. 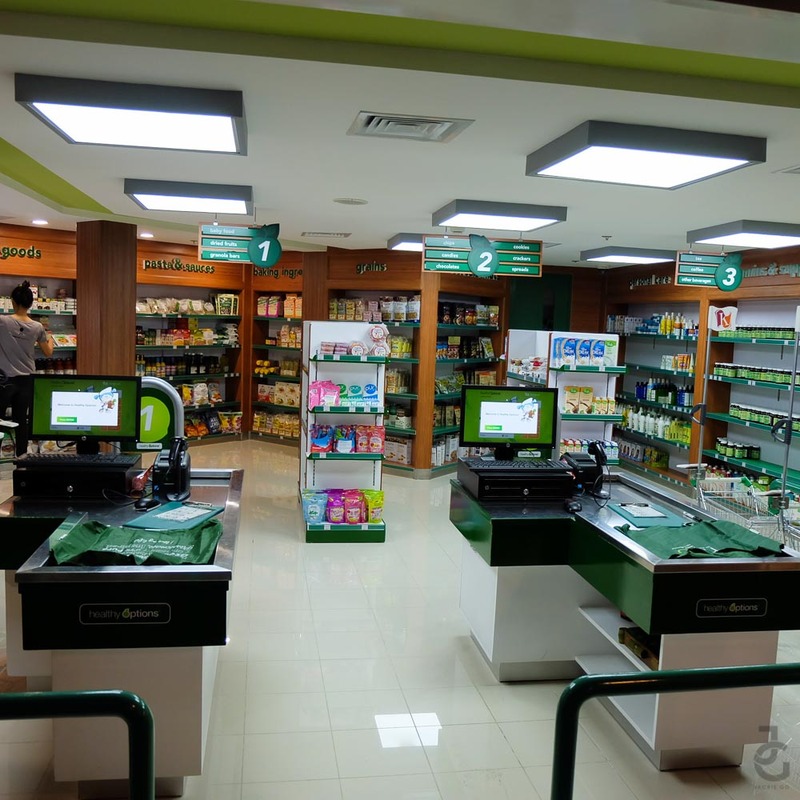 Simply go to the PaZZport Office or you can sign up online HERE. Take note that you still need to show up at the office so they can take your child’s photo & claim his/her paZZport. 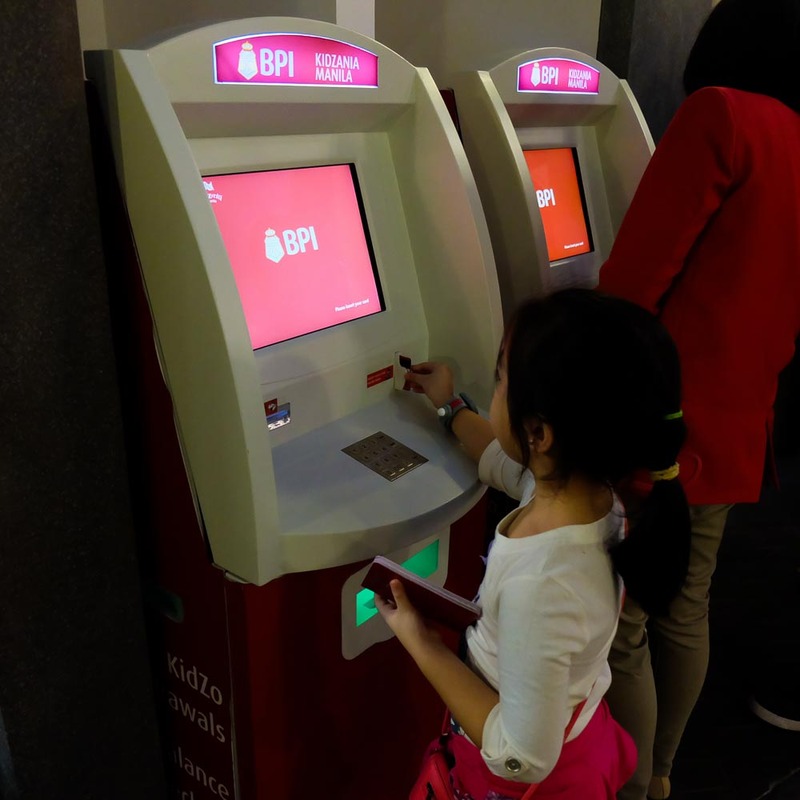 There’s a one time sign up fee of P250 per child which you can pay in cash or card. 8. Parents, bring your phone’s charger and perhaps a book. 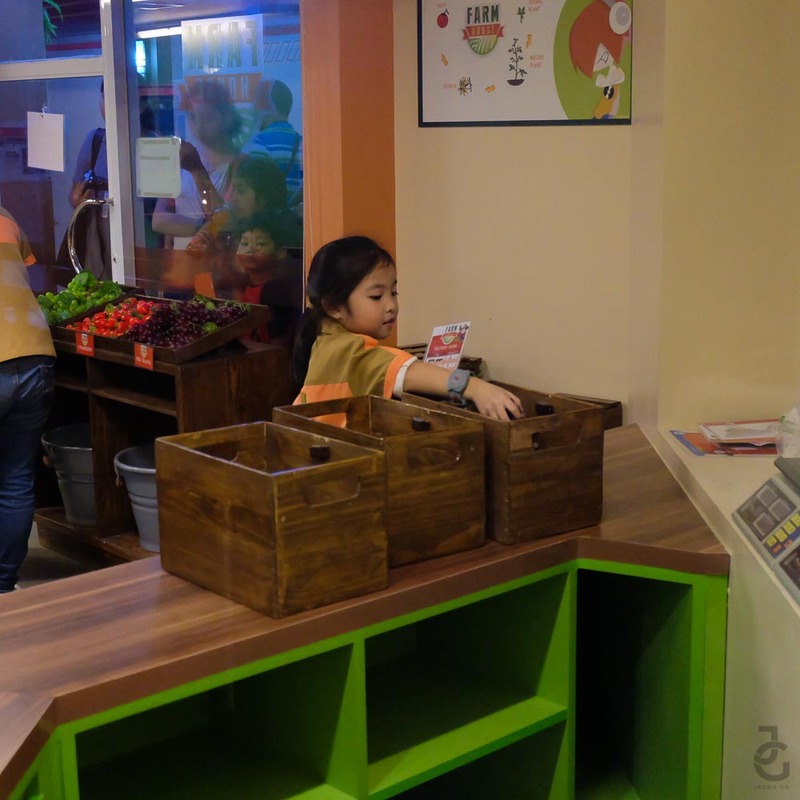 There’s a parent’s lounge located on the second floor of KidZania where adults can charge their mobile phones/gadgets or just sit back and relax. 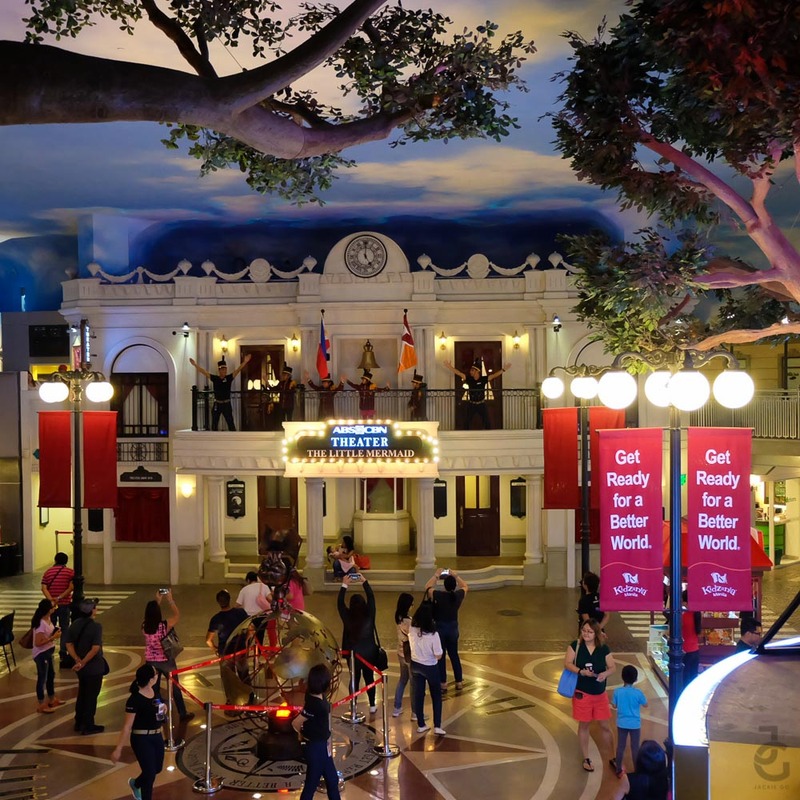 This is ideal for parents with kids aged 8 and above for they can roam around KidZania unsupervised. So go ahead and relax, read a book while your kids fave fun. 9. No child, no entry. 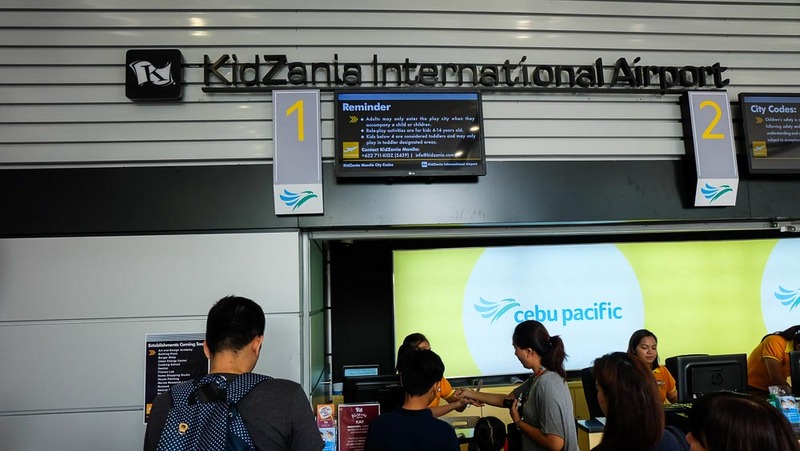 An adult can accompany one or more child but an unaccompanied adult is not allowed. 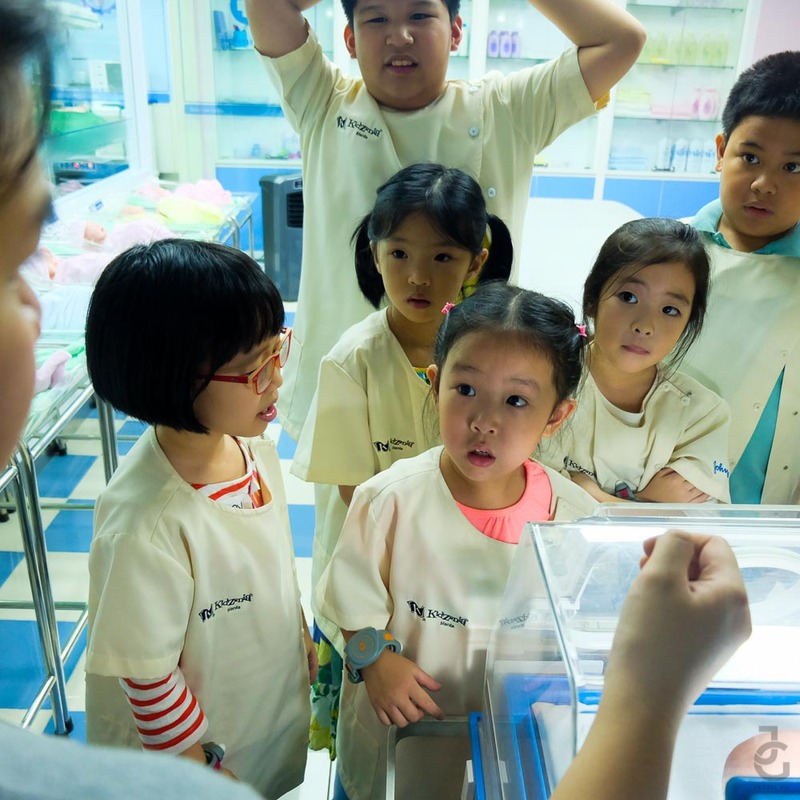 Meaning, you should have a child with you if you want to enter KidZania. 10. 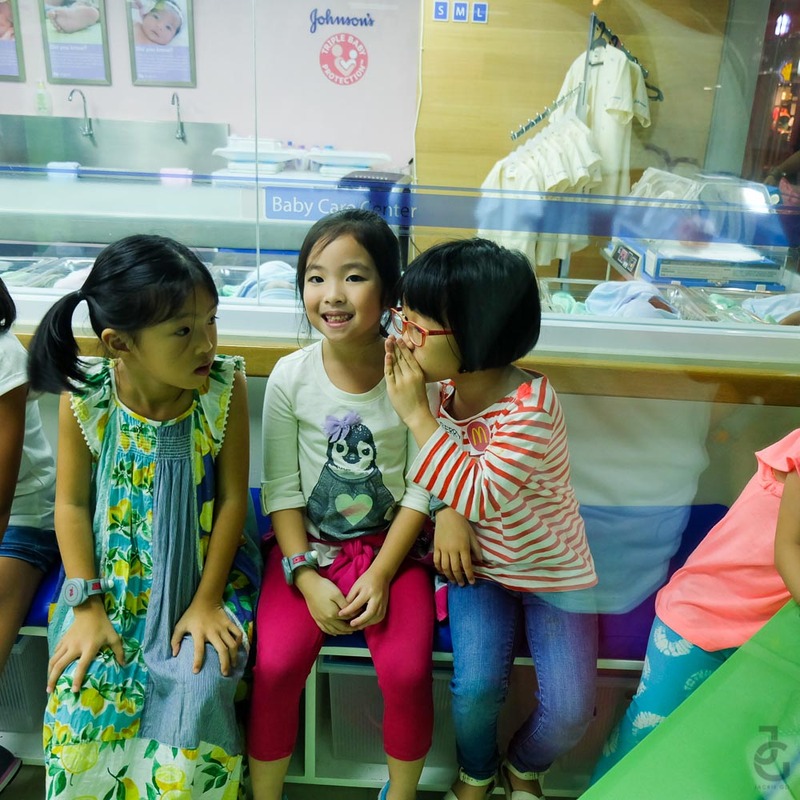 Let the kids have fun. I honestly wish that we had one like this when I was growing up. The closest one I can think of was our usual weekend playdates with my cousins where we pretend play we’re in a grocery store, and I would always volunteer to man the check out counter. 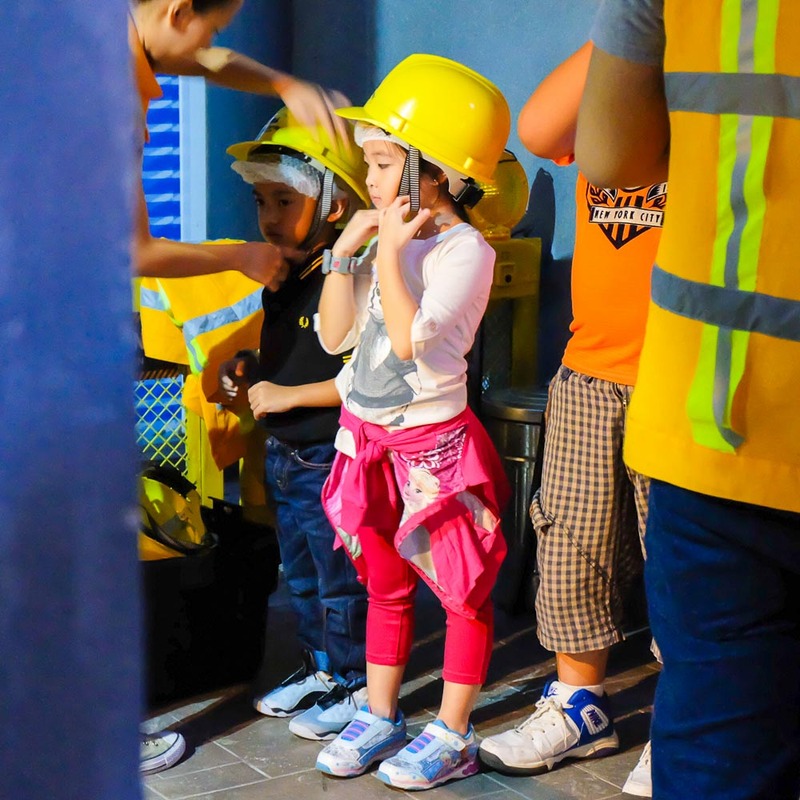 KidZania is for kids. In there, they’re in charge. 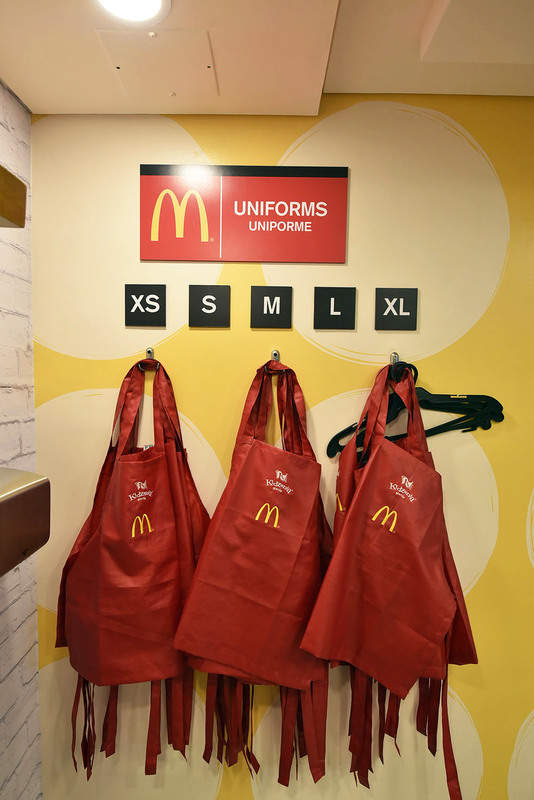 Leave the queuing and lining up to them. Our job as their guardian is to take tons of photos, support their career choices and tap our child on the back for a job well done. The mommas all smiles despite a tiring and long day. 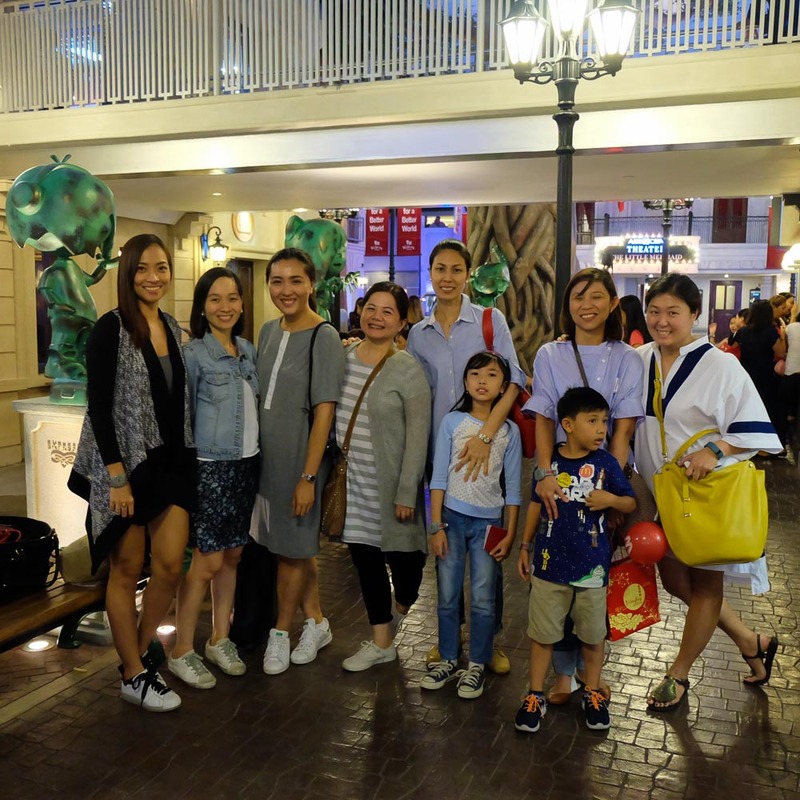 Here I am with Tin Dychiao, Cai Sio, Kaye Catral, Michelle, Lim, Neva Santos, and Didi Tang.